The first event of 2018 and yet another huge welcome by the Public in Nantwich and from the surrounding area. 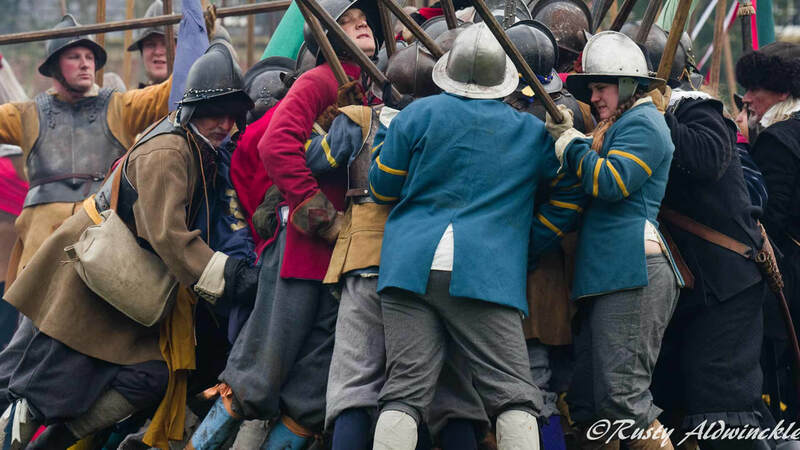 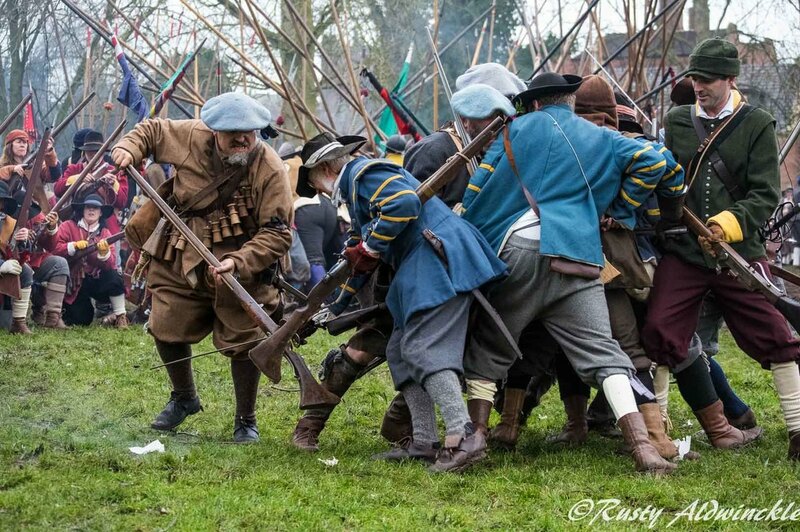 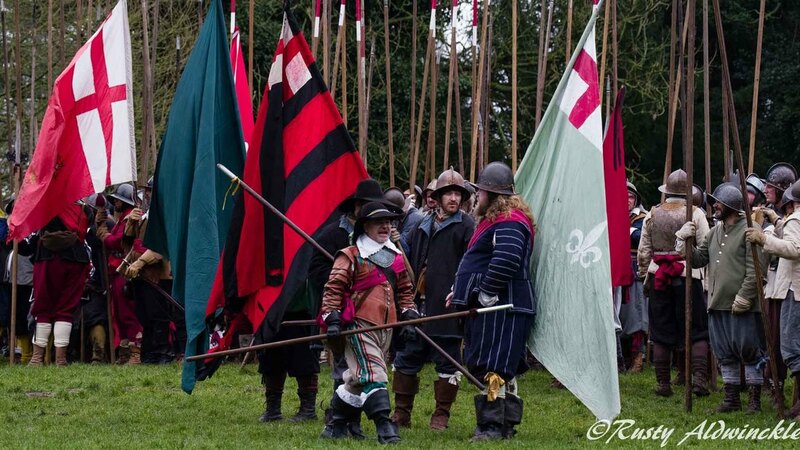 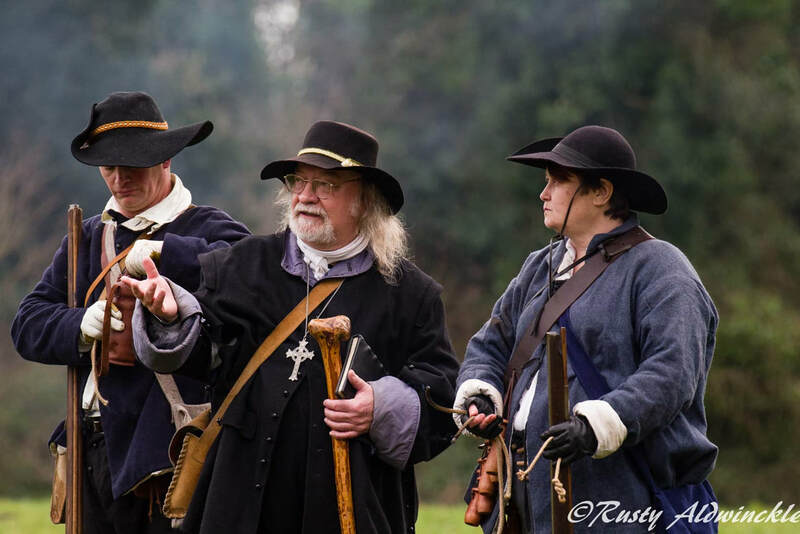 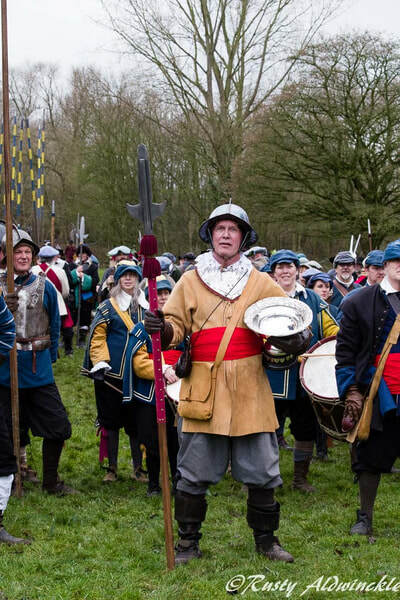 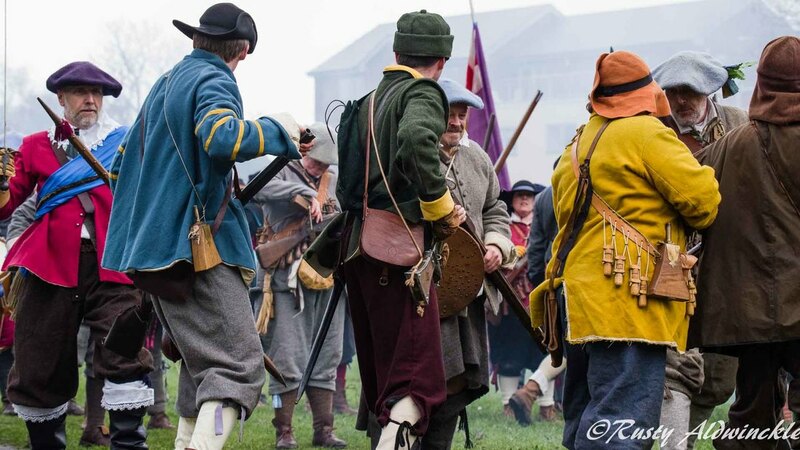 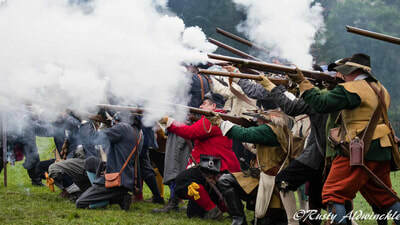 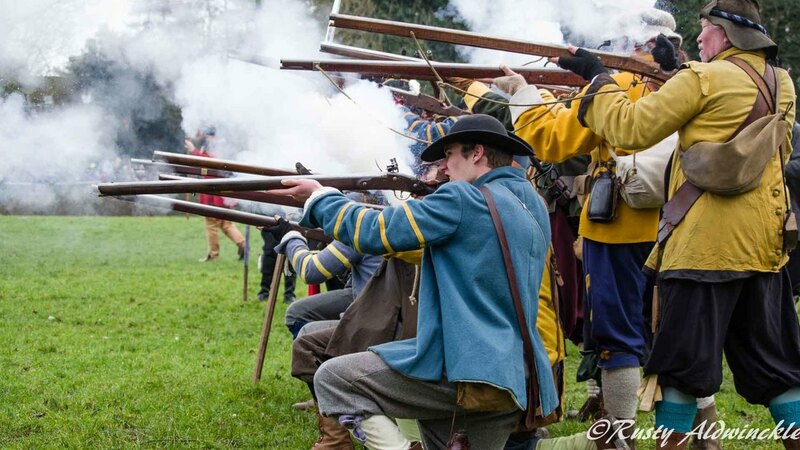 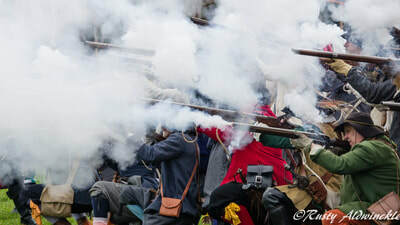 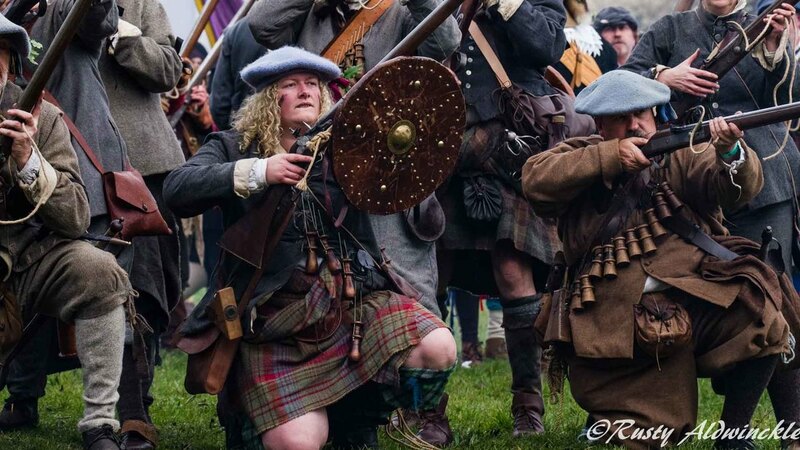 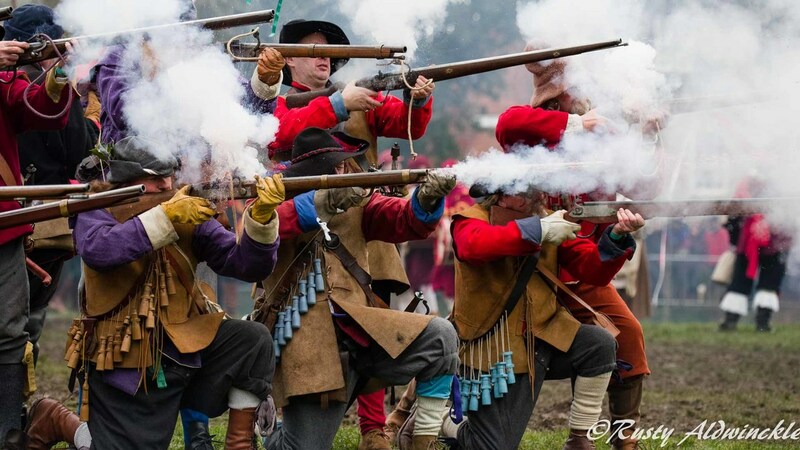 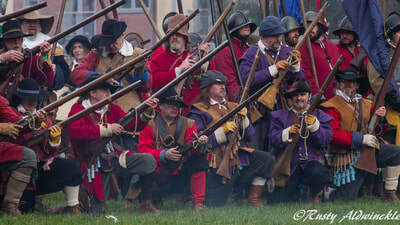 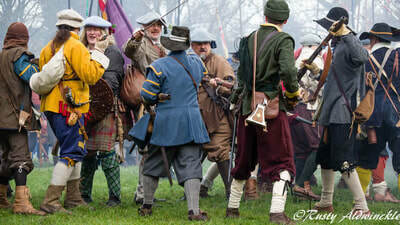 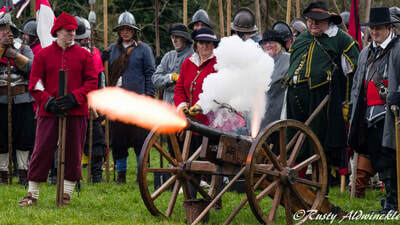 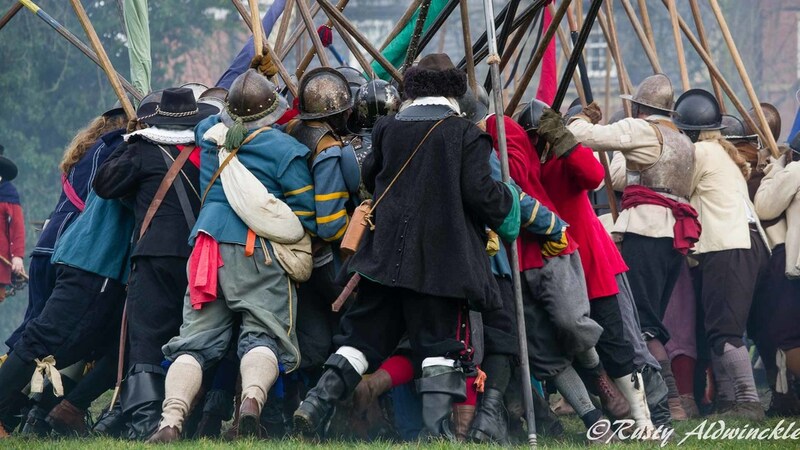 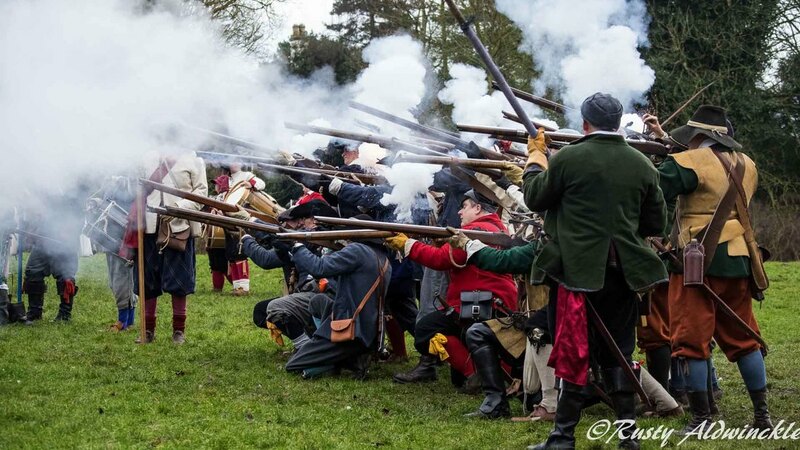 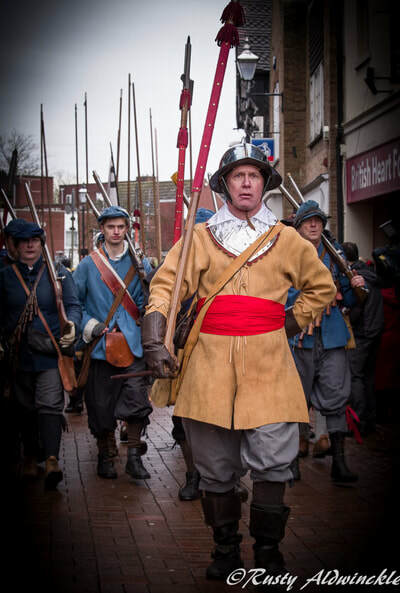 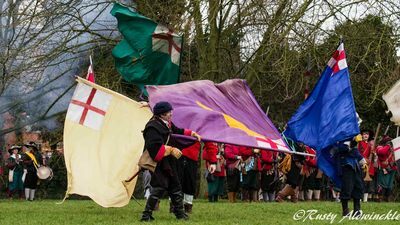 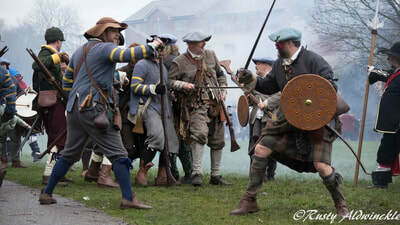 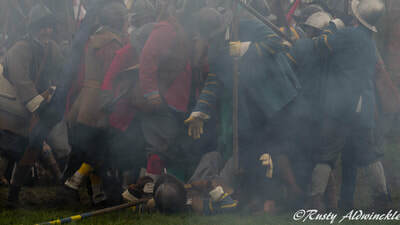 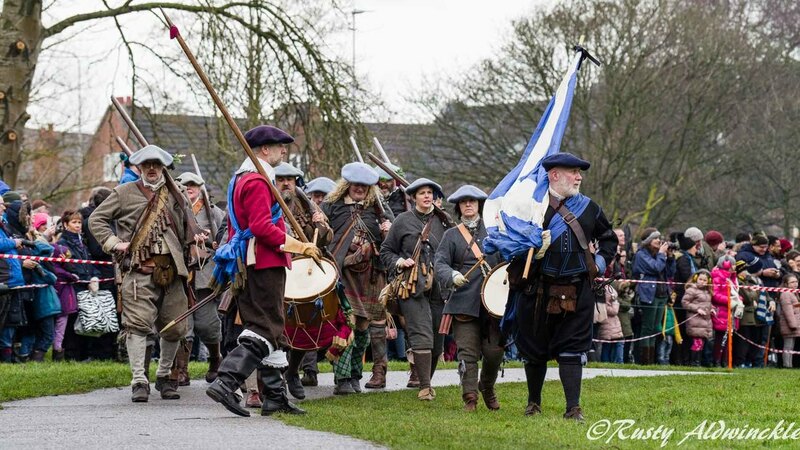 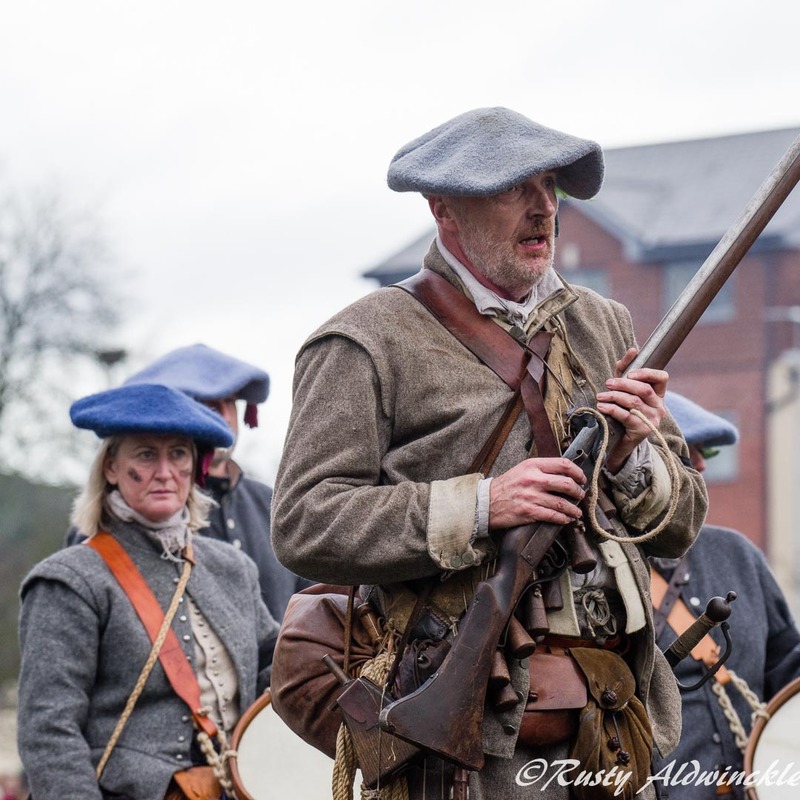 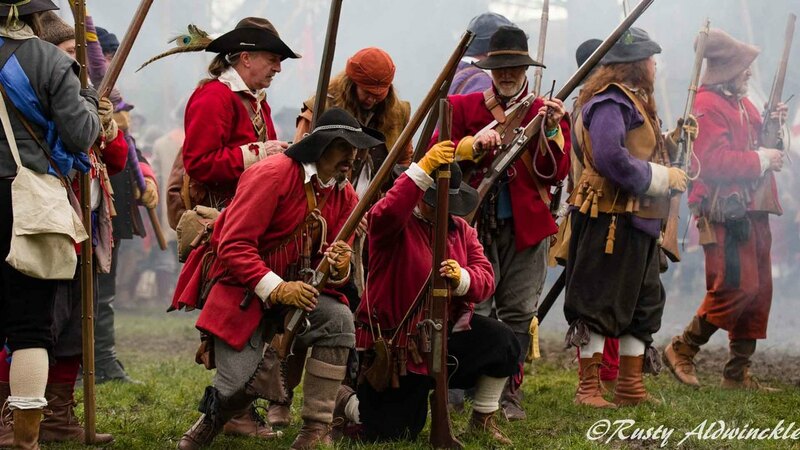 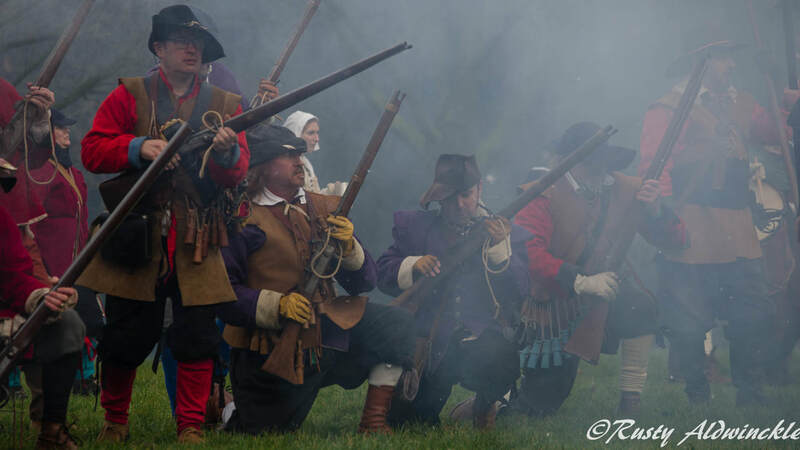 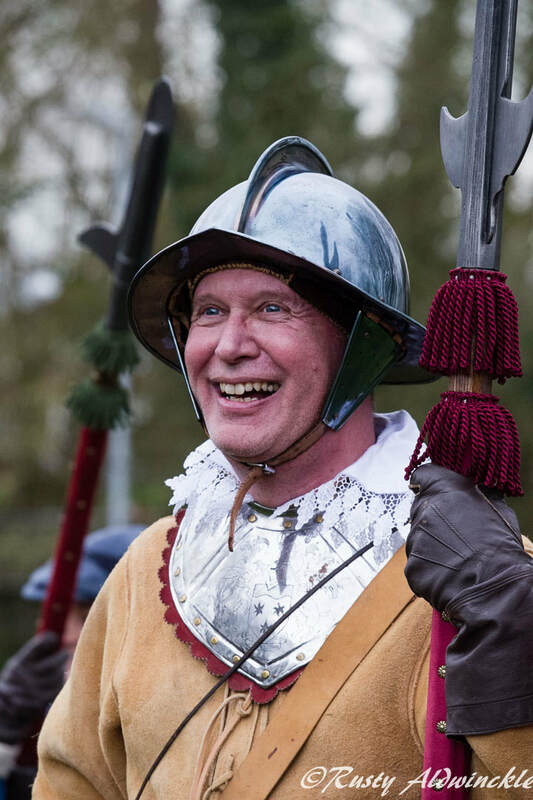 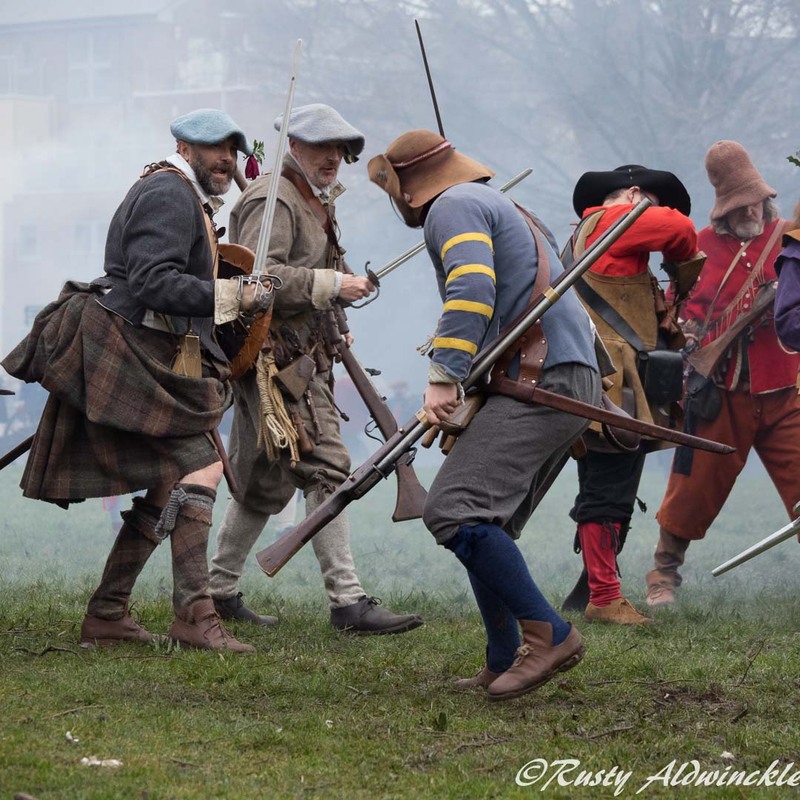 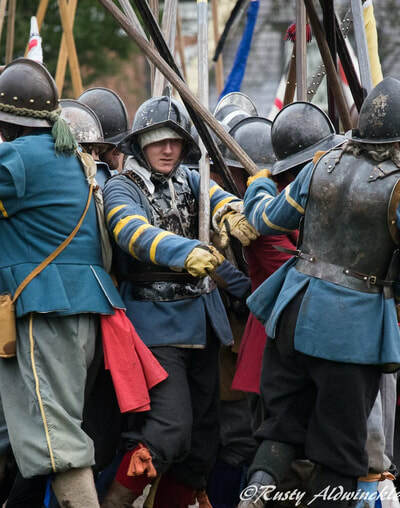 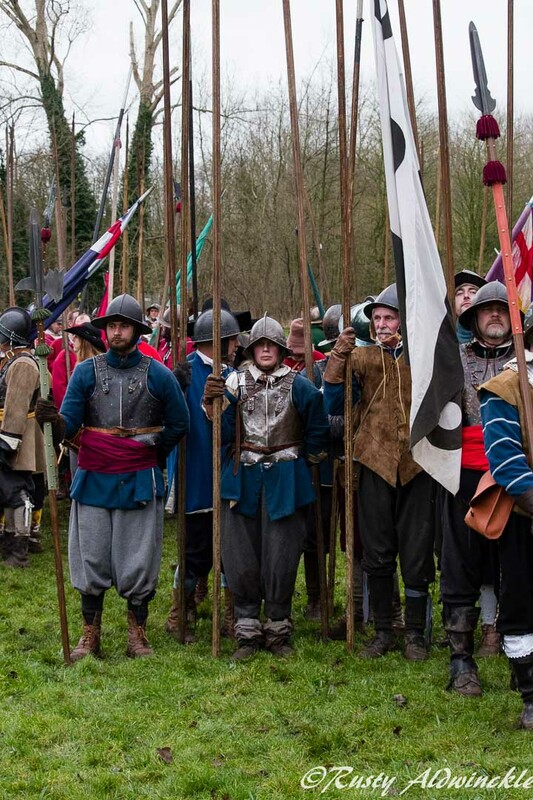 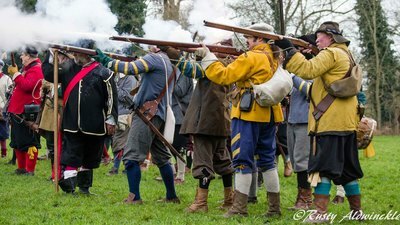 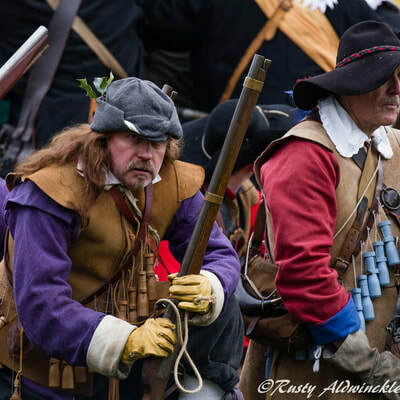 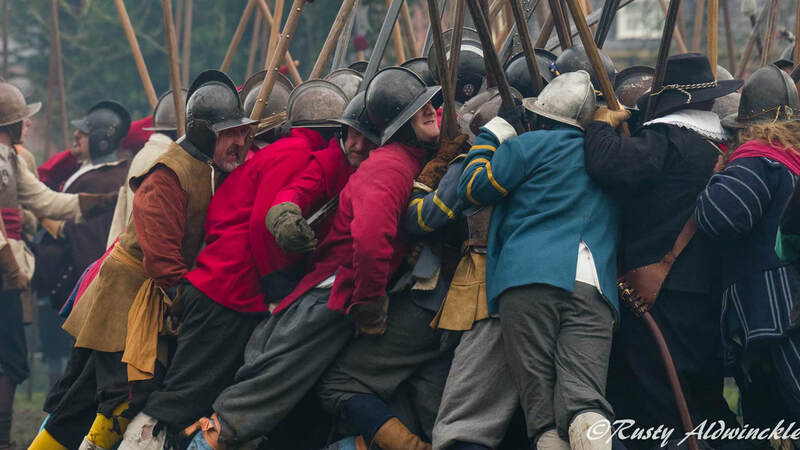 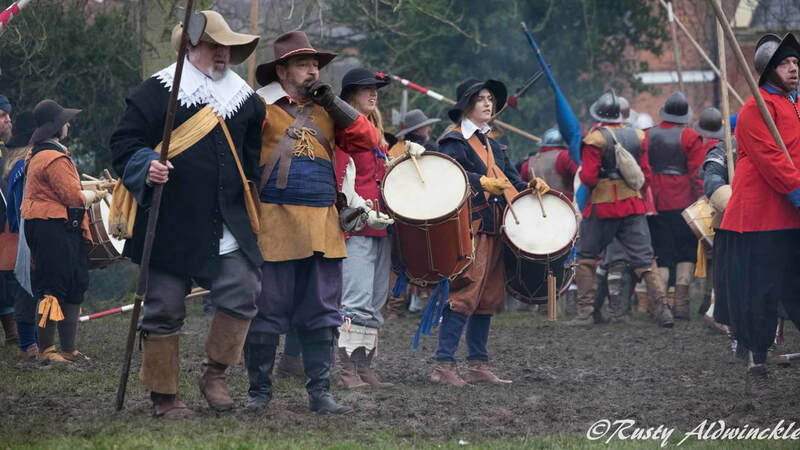 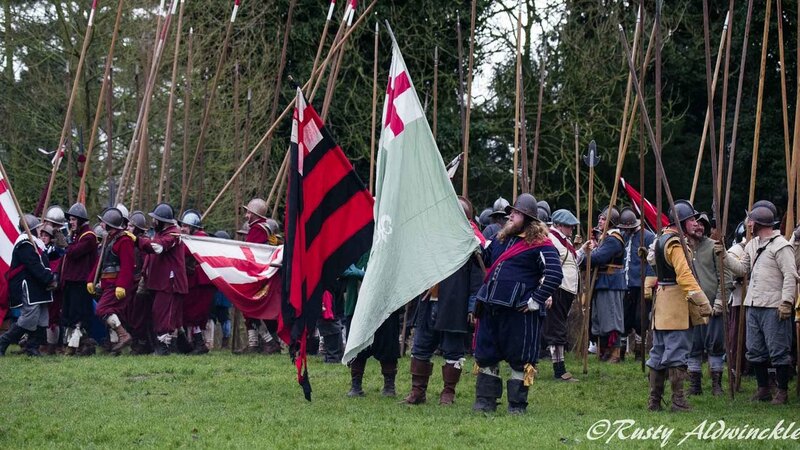 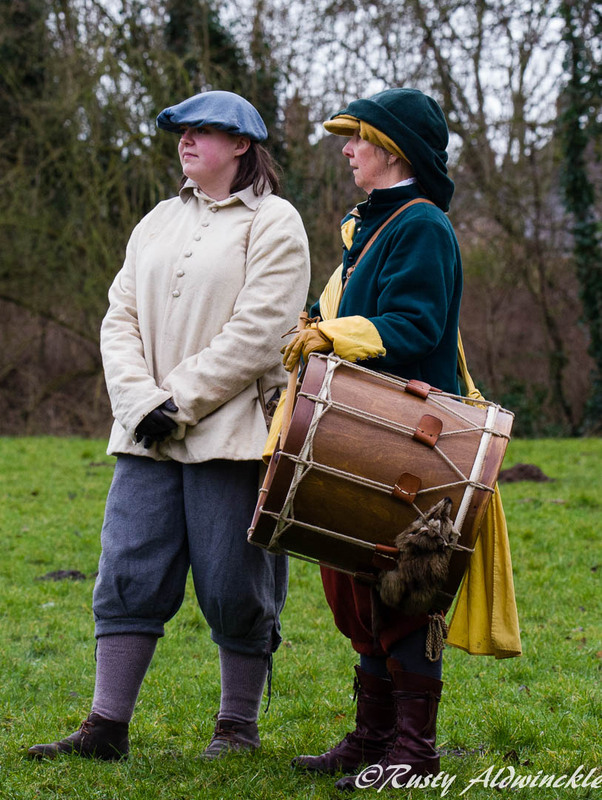 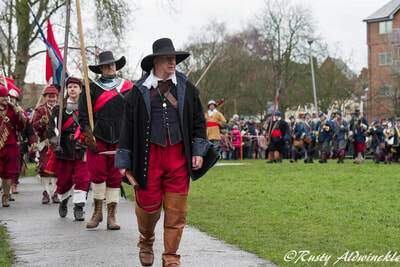 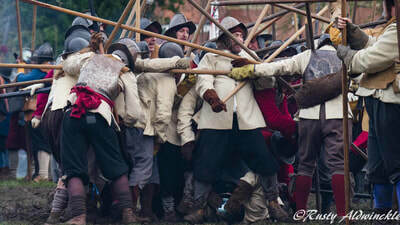 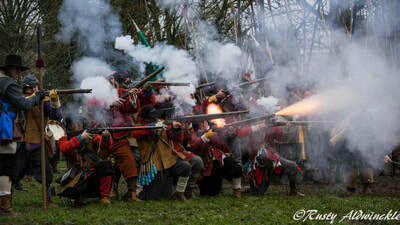 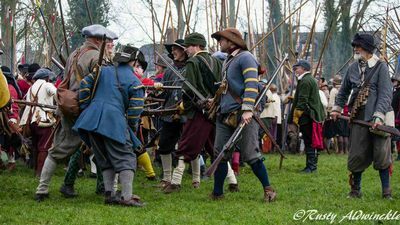 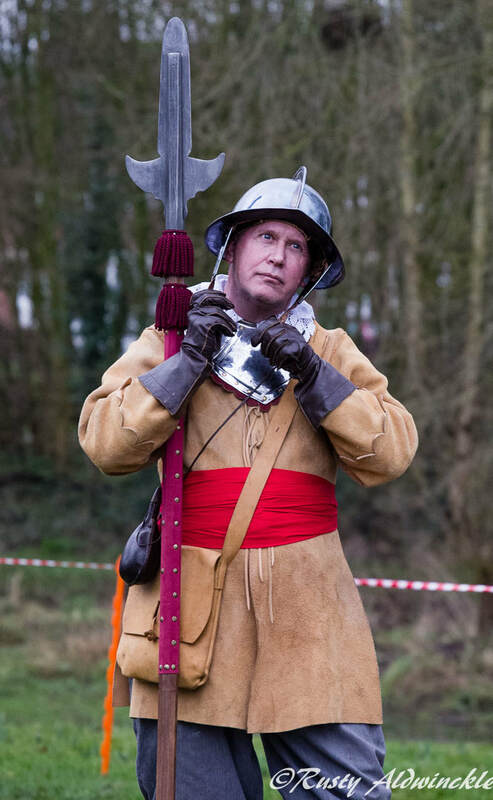 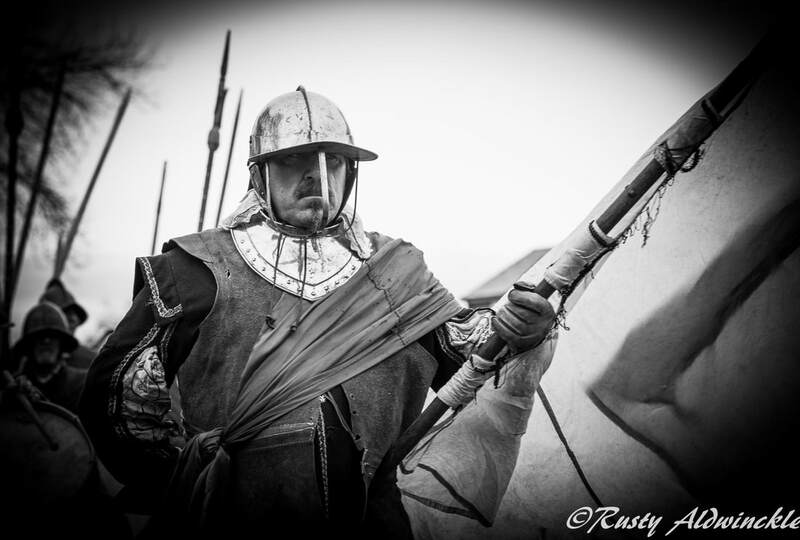 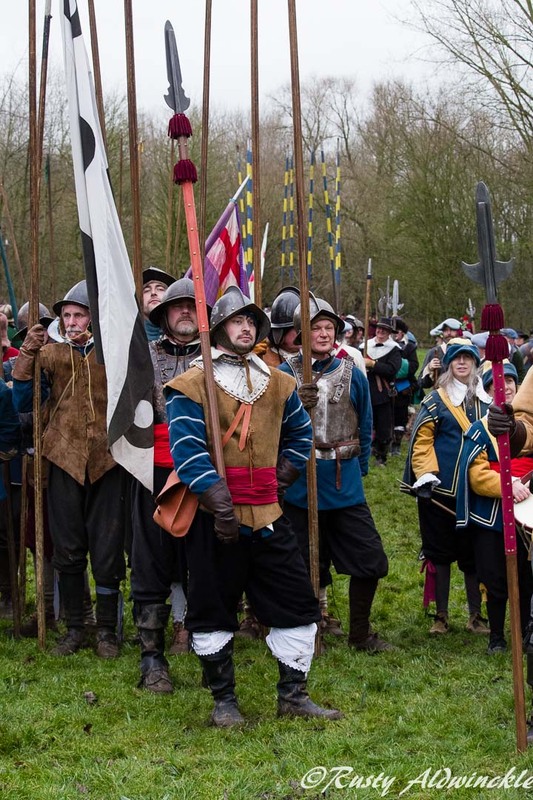 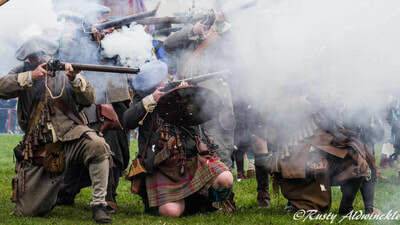 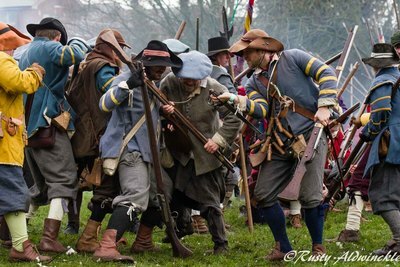 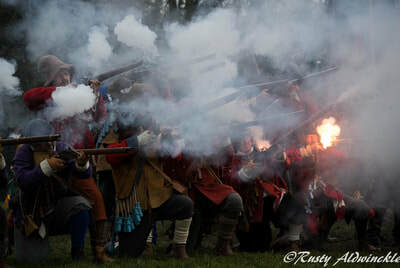 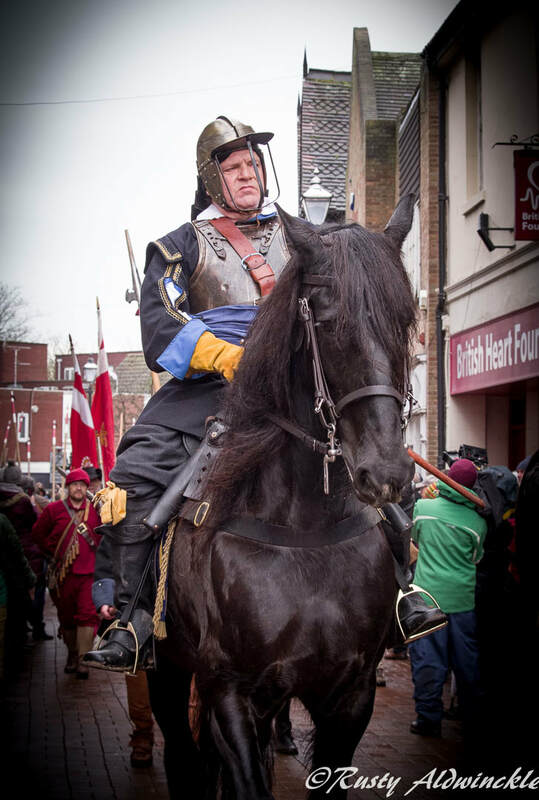 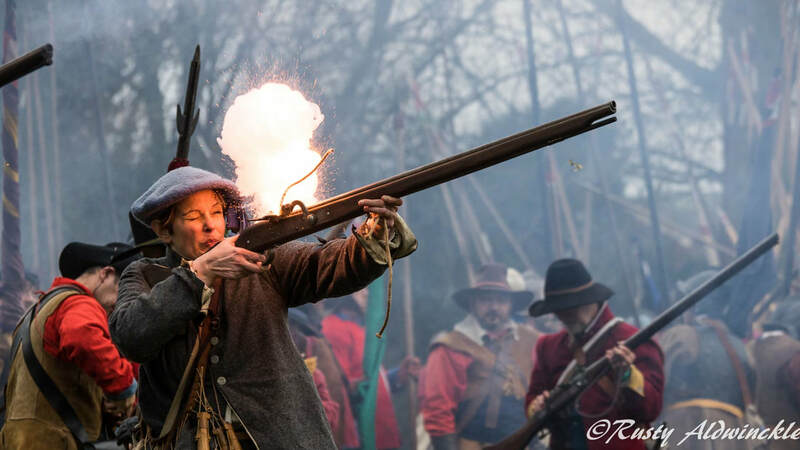 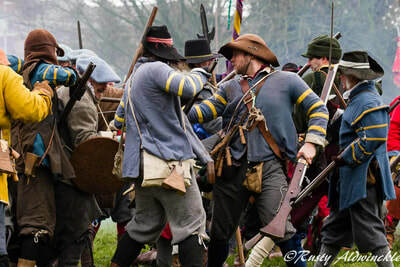 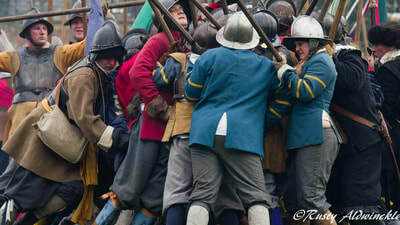 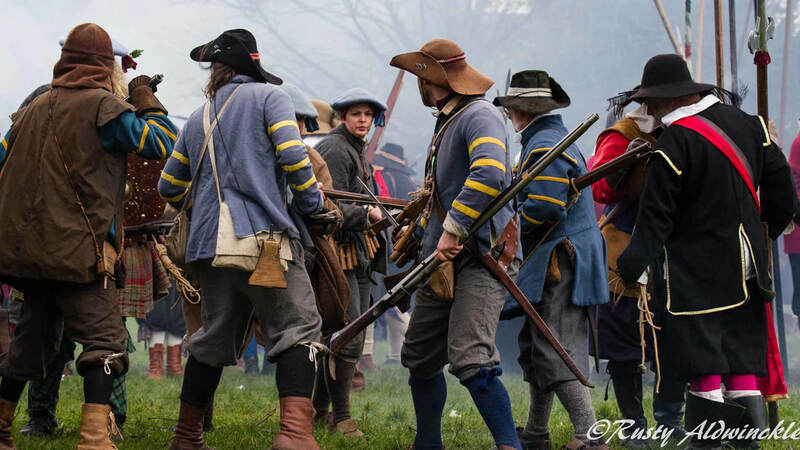 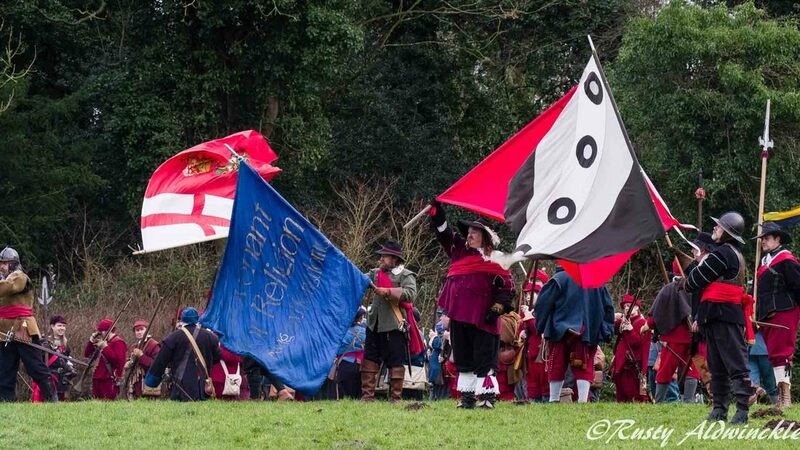 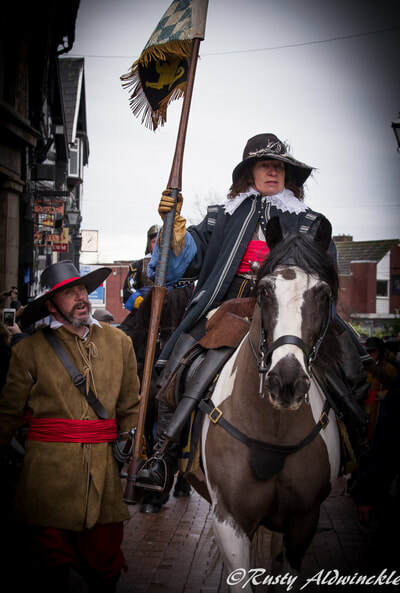 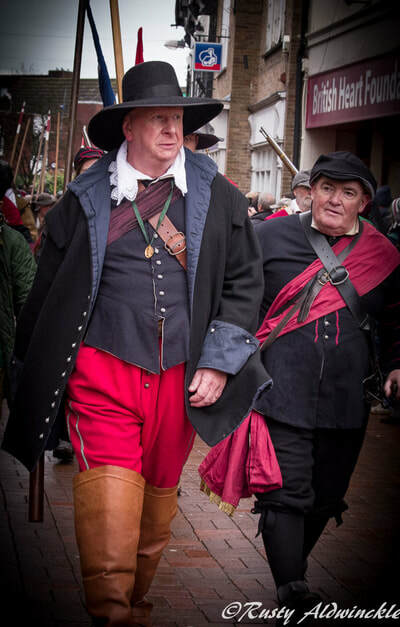 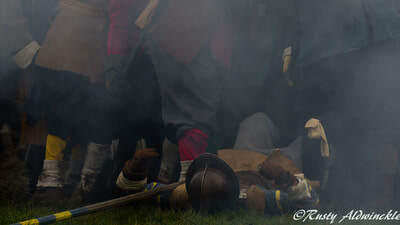 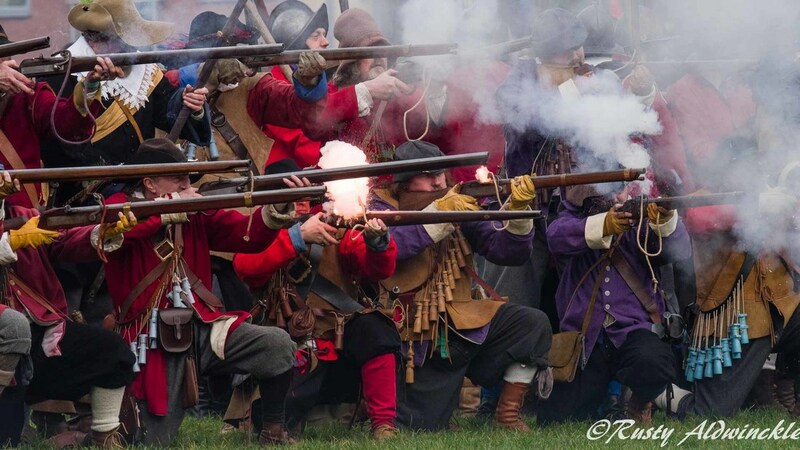 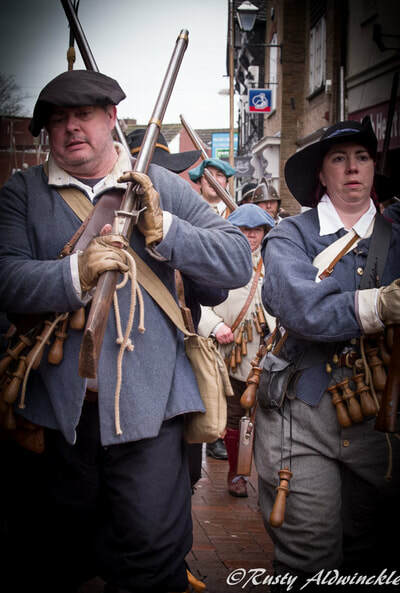 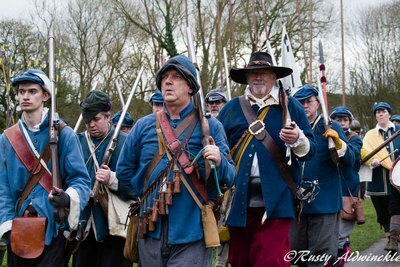 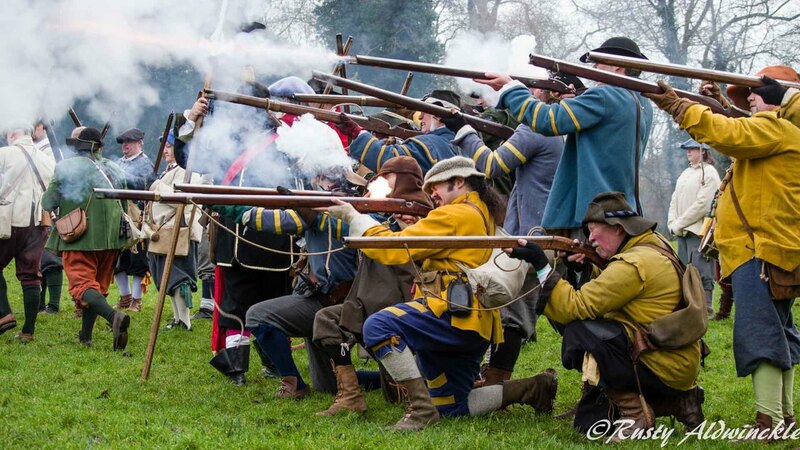 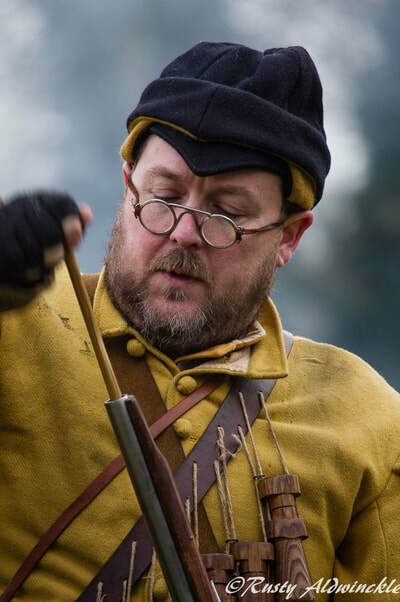 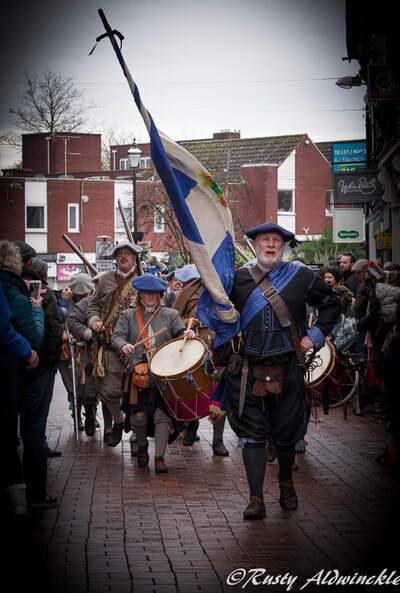 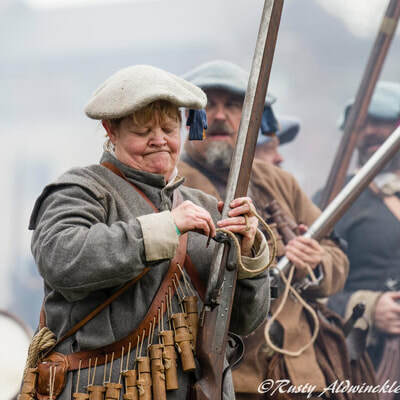 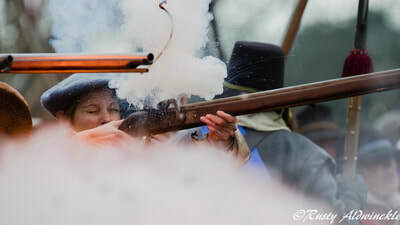 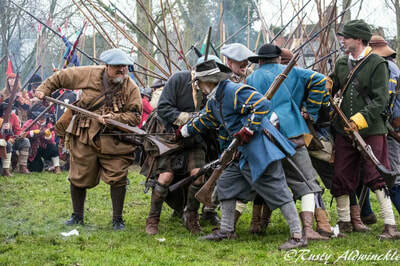 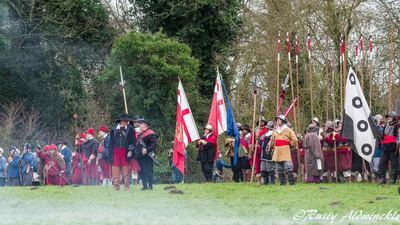 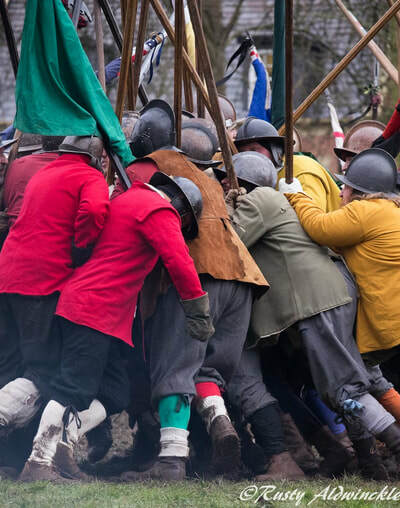 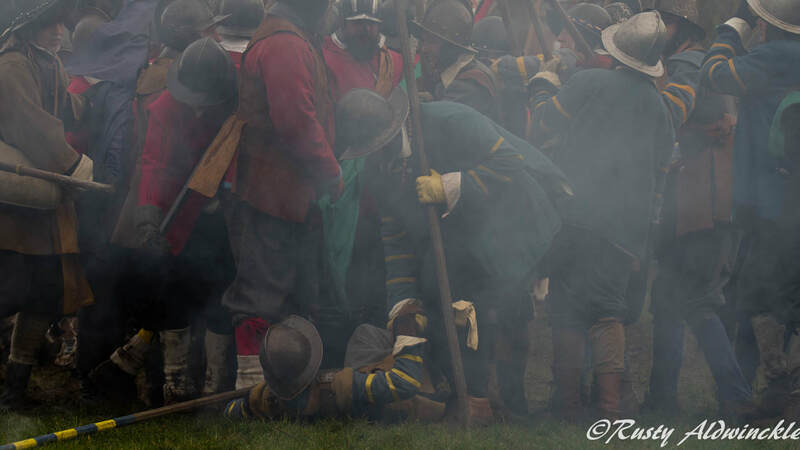 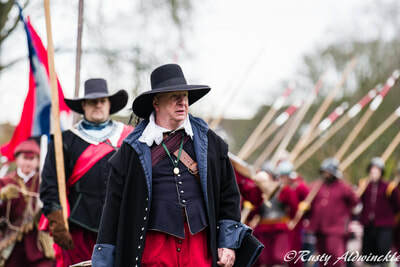 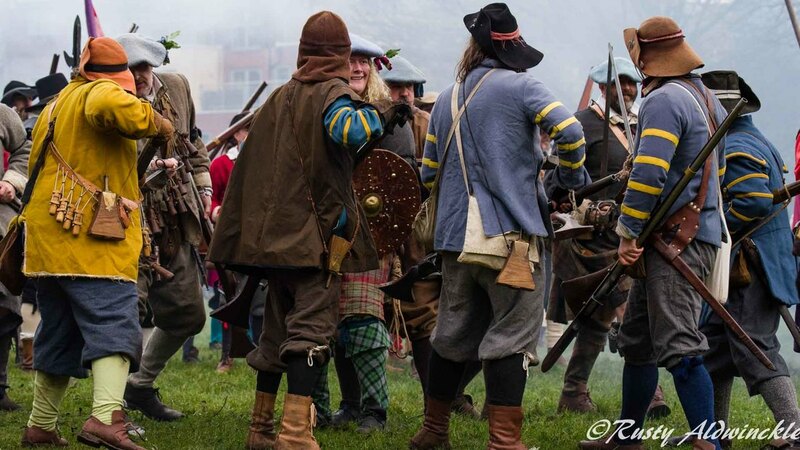 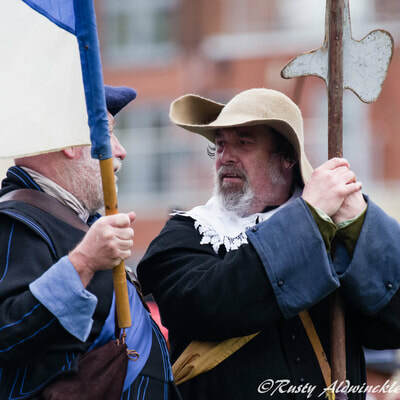 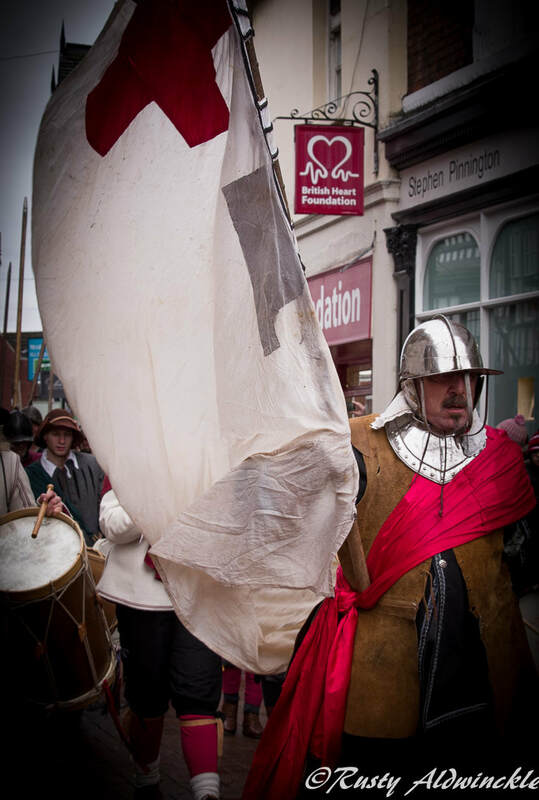 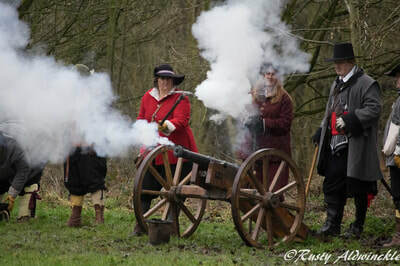 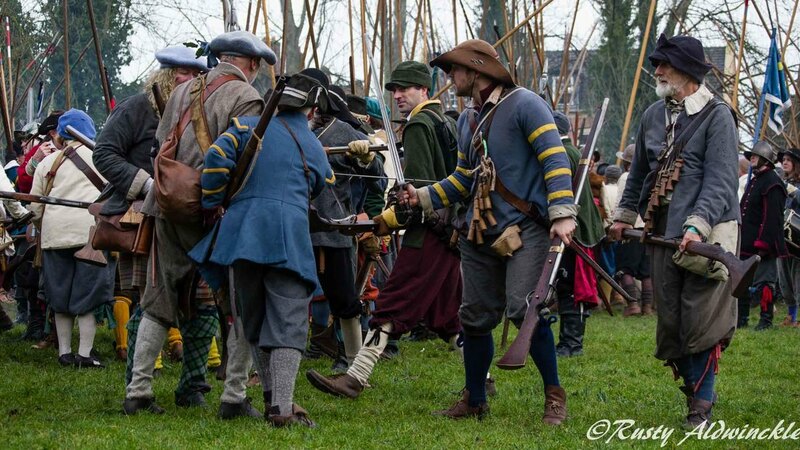 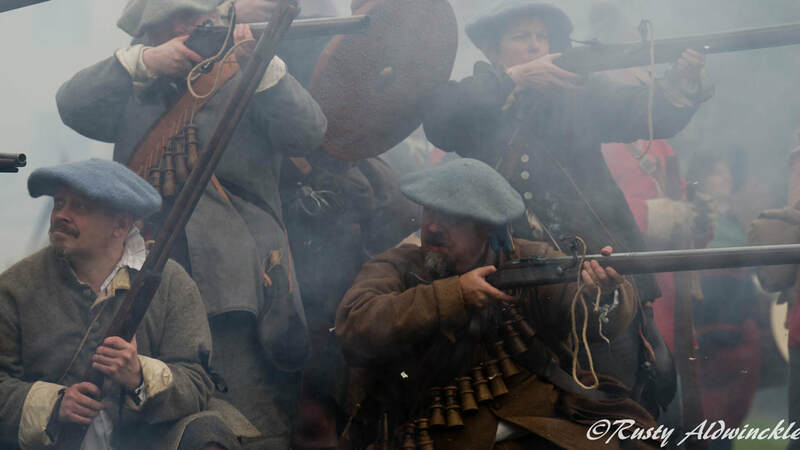 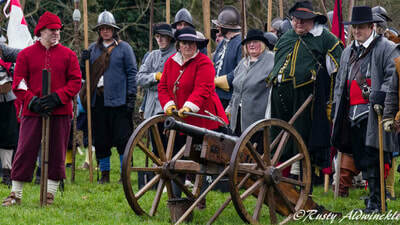 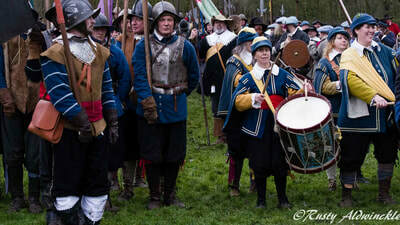 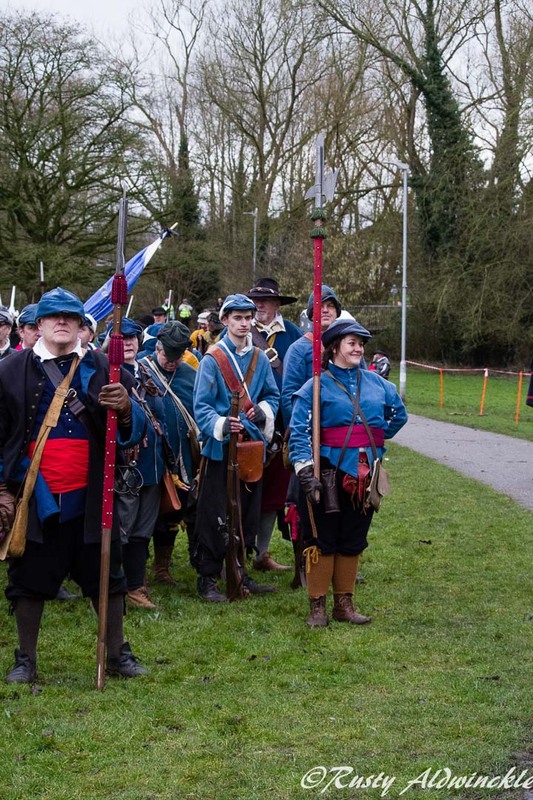 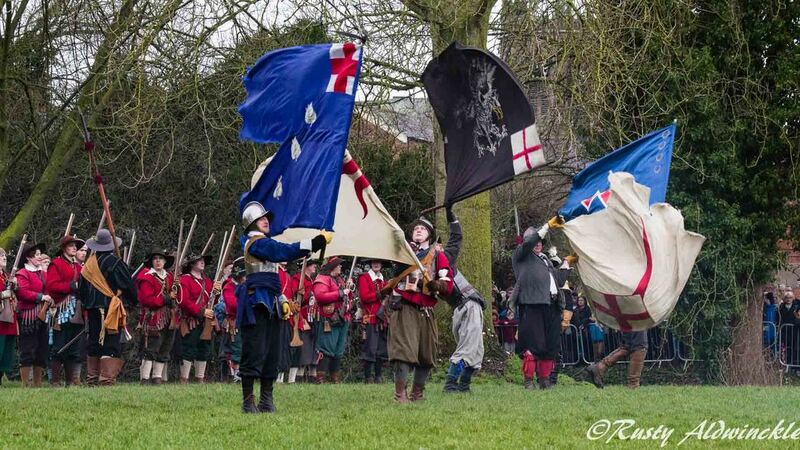 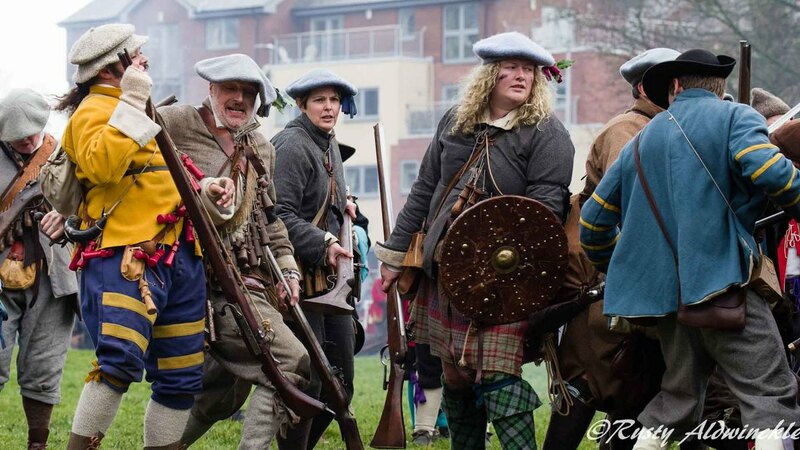 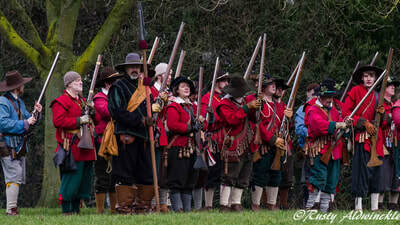 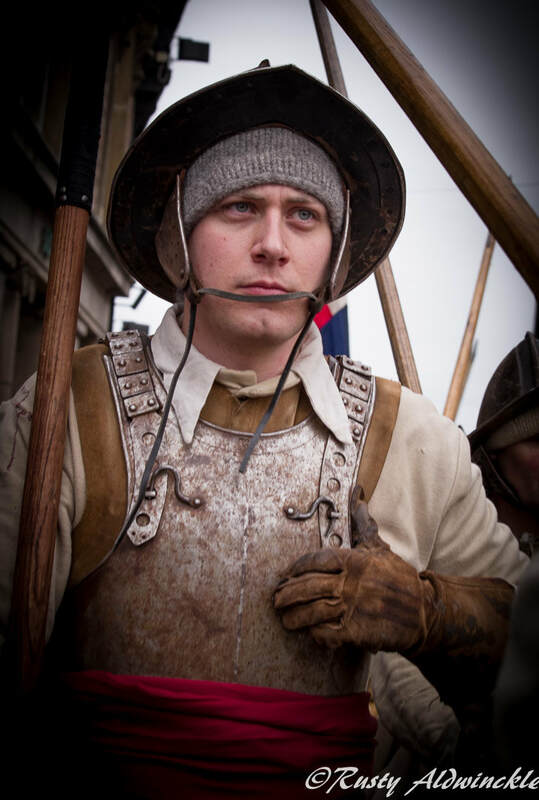 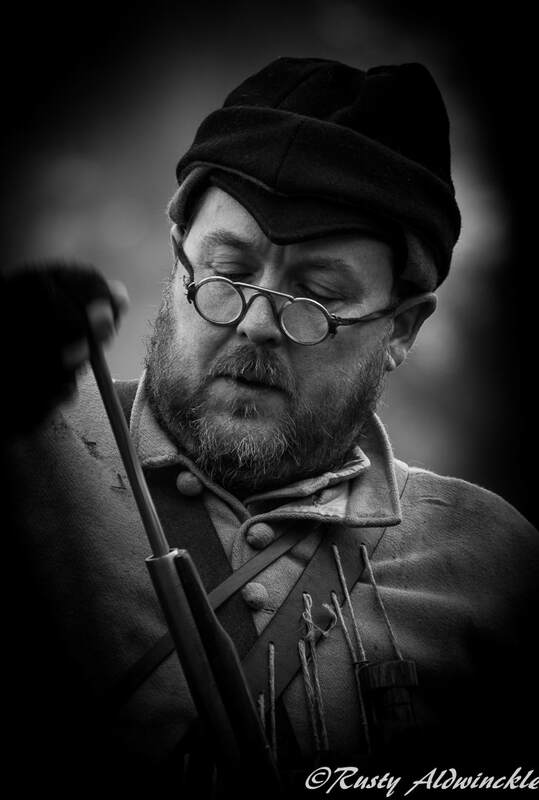 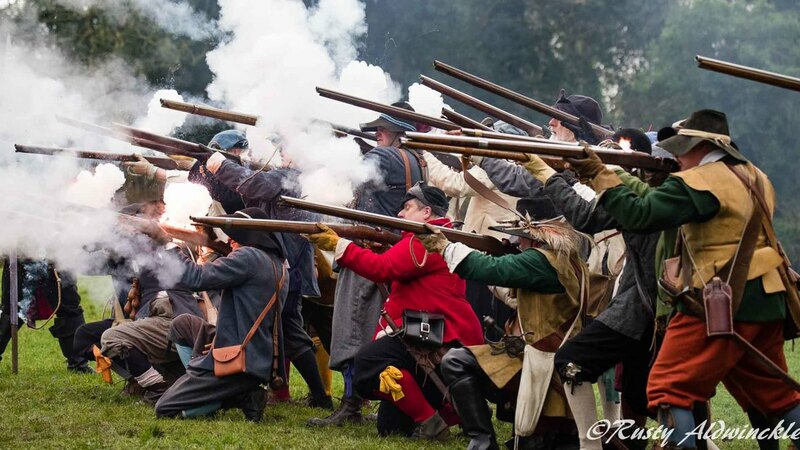 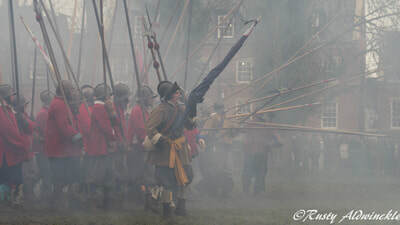 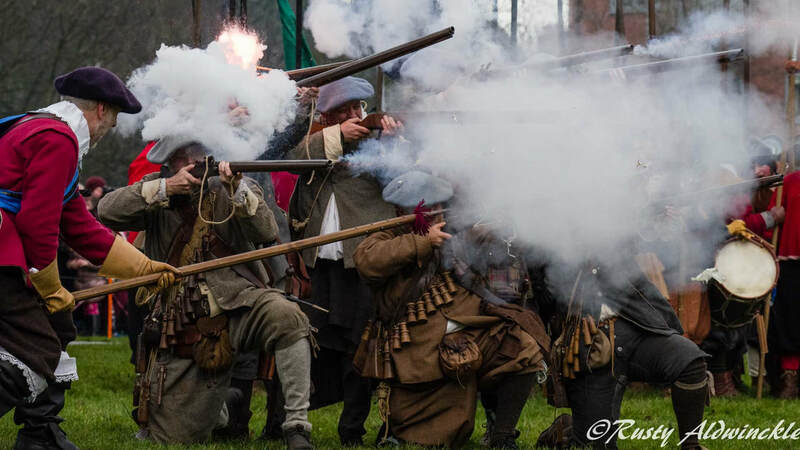 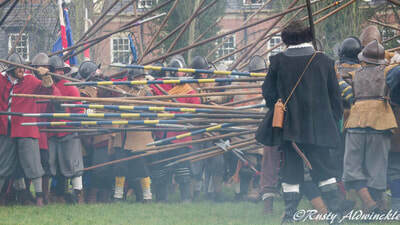 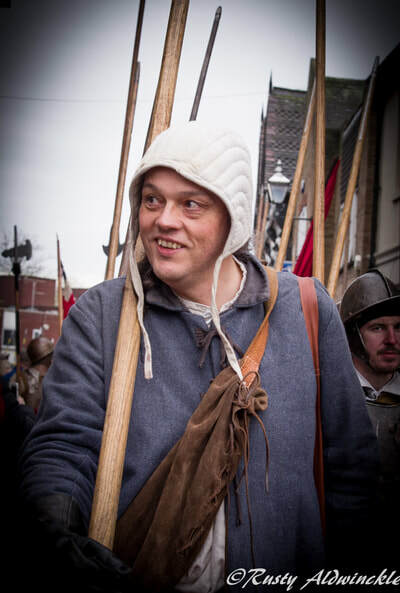 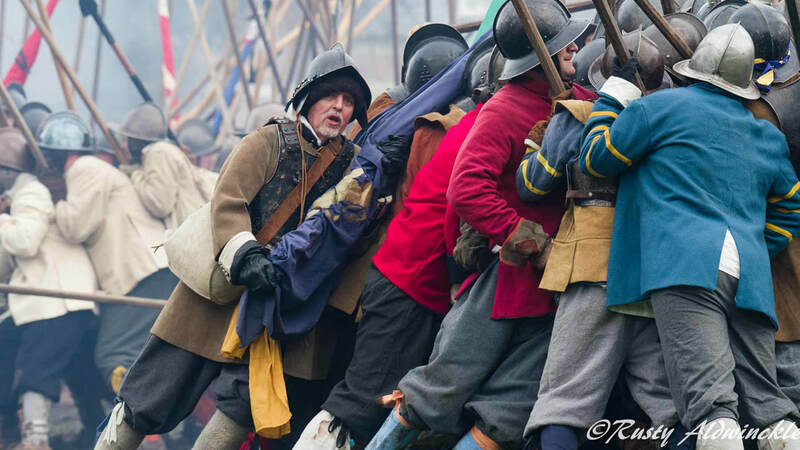 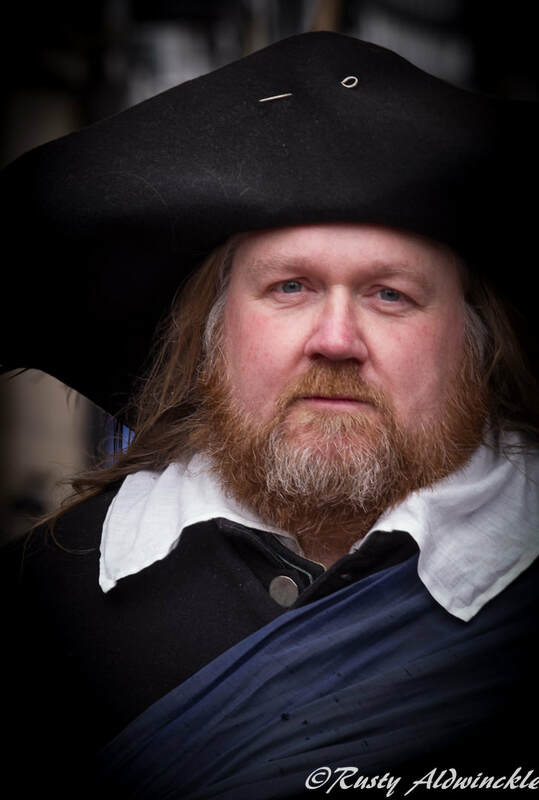 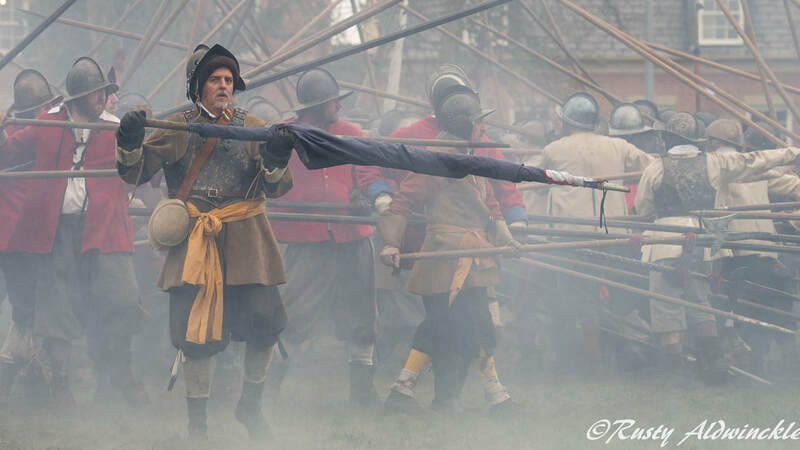 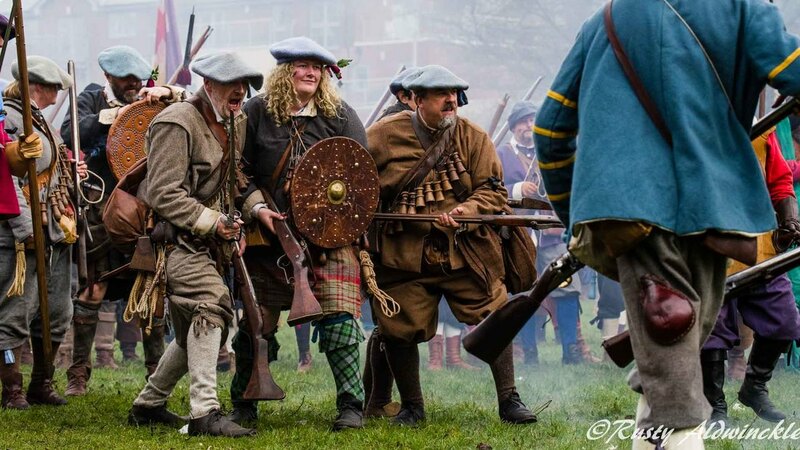 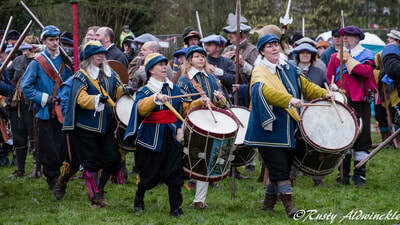 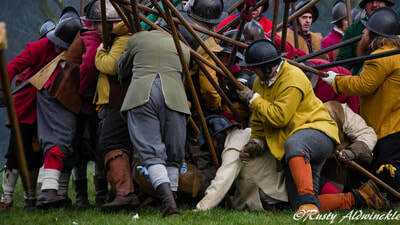 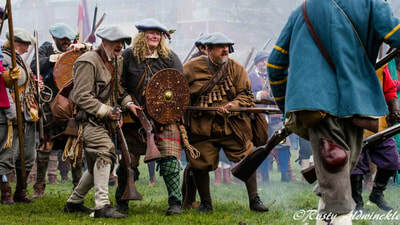 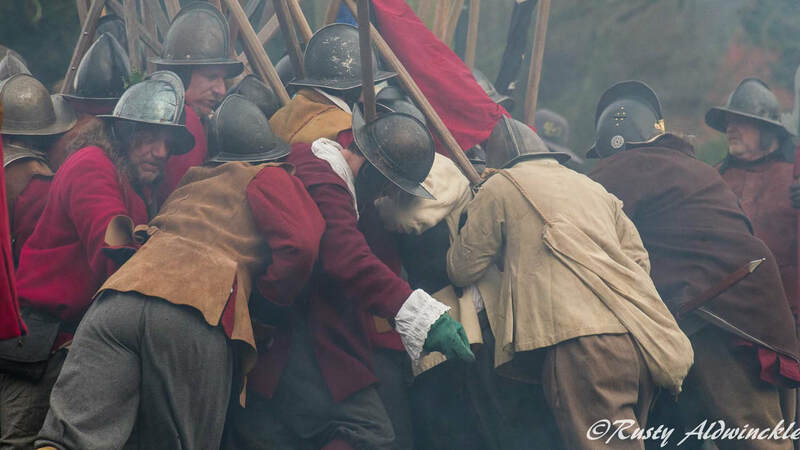 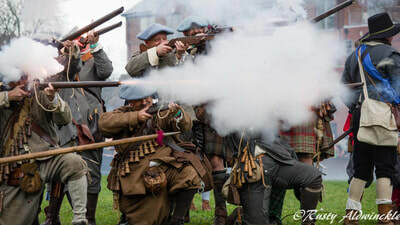 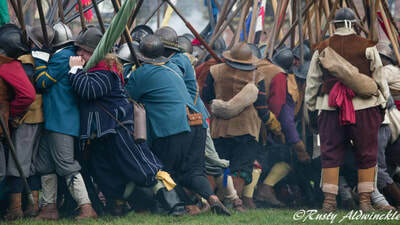 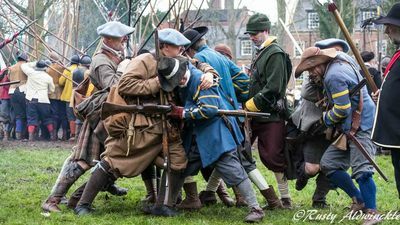 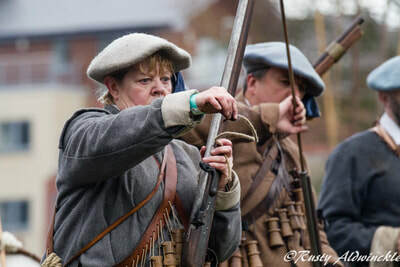 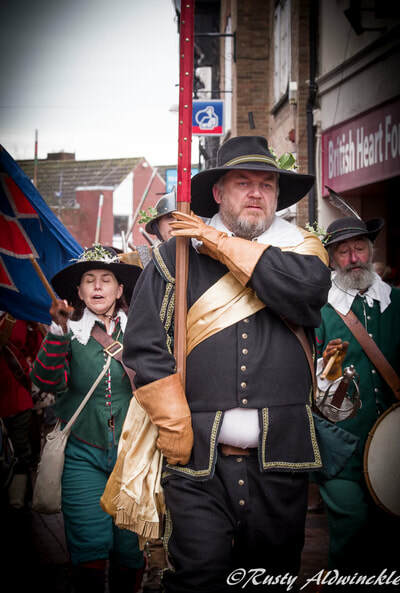 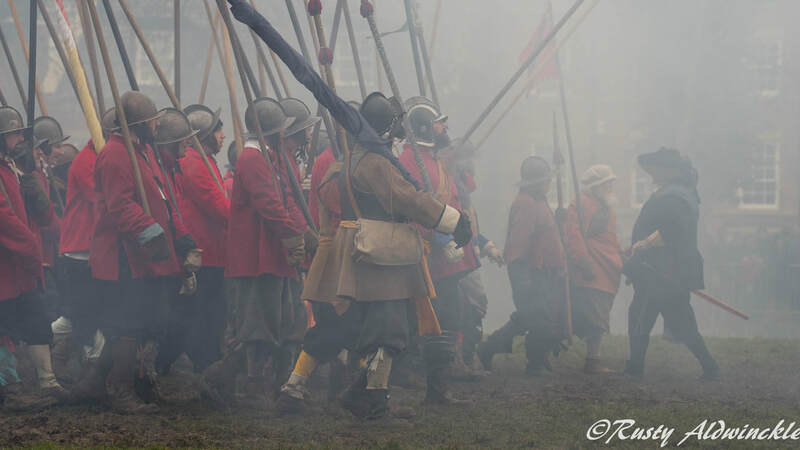 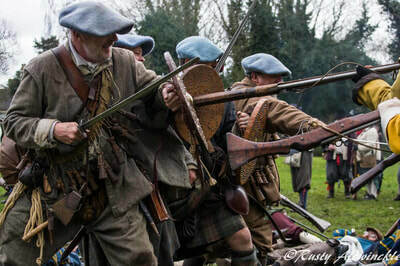 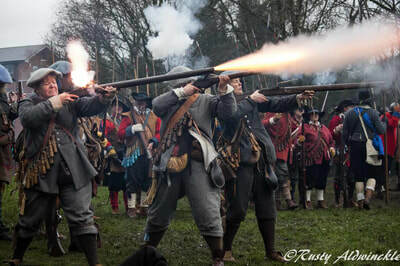 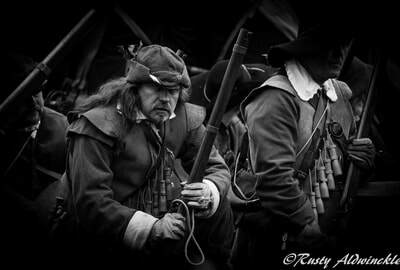 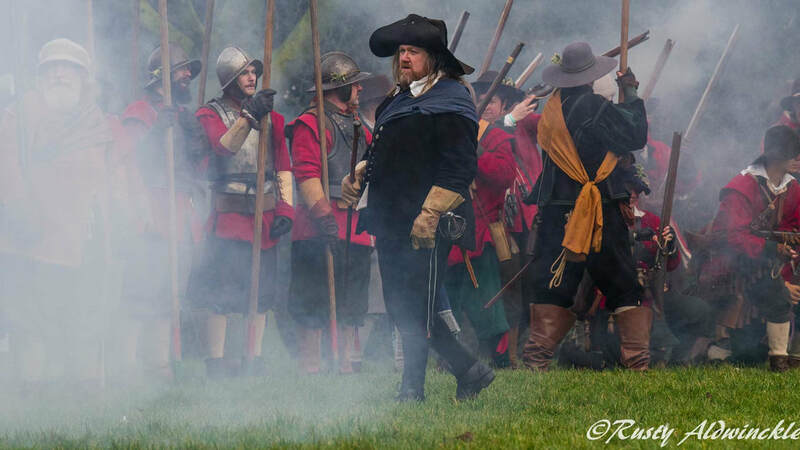 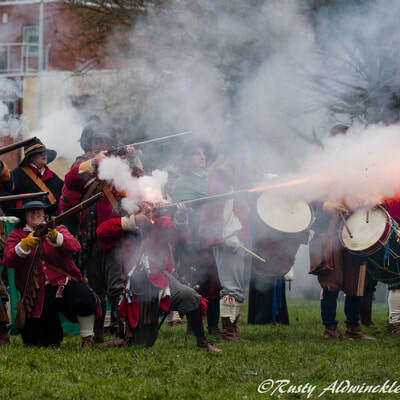 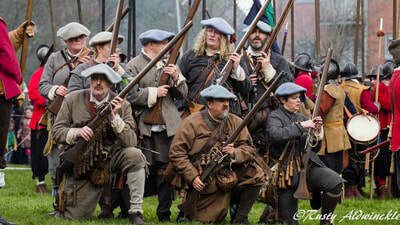 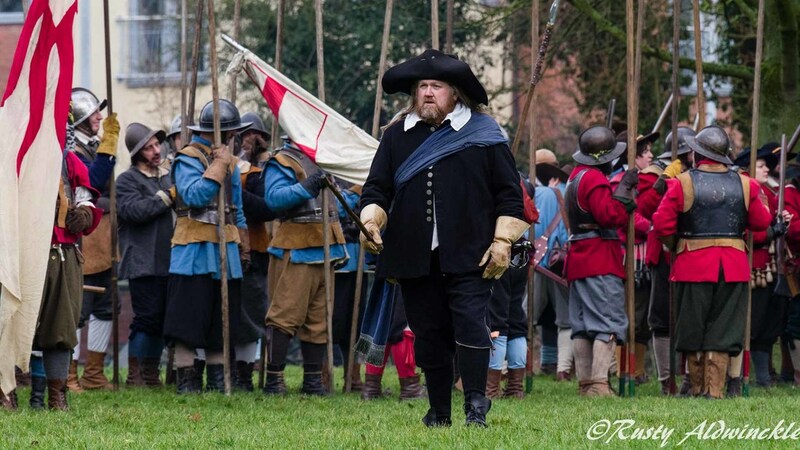 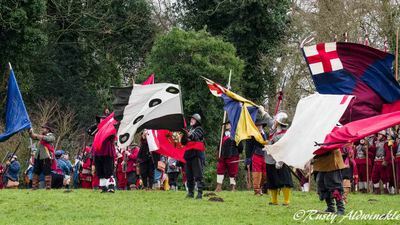 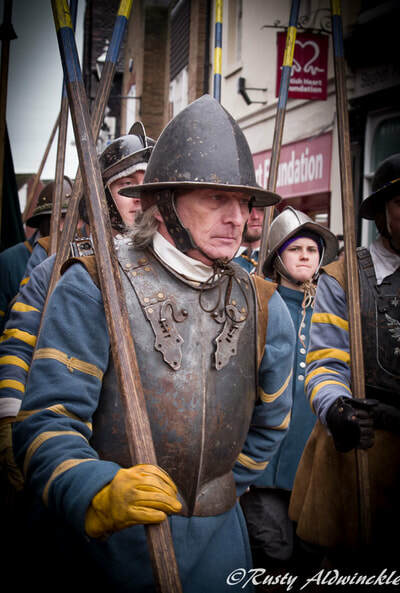 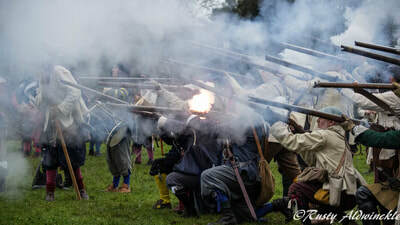 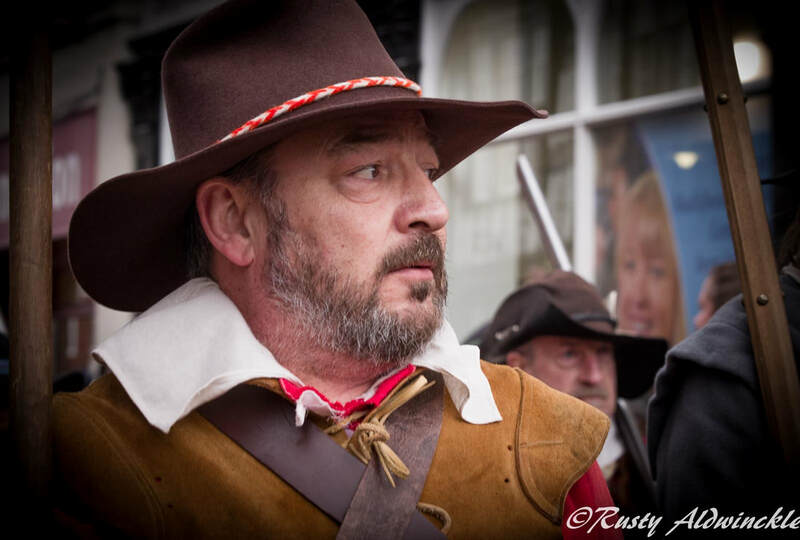 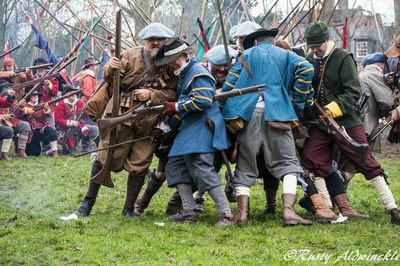 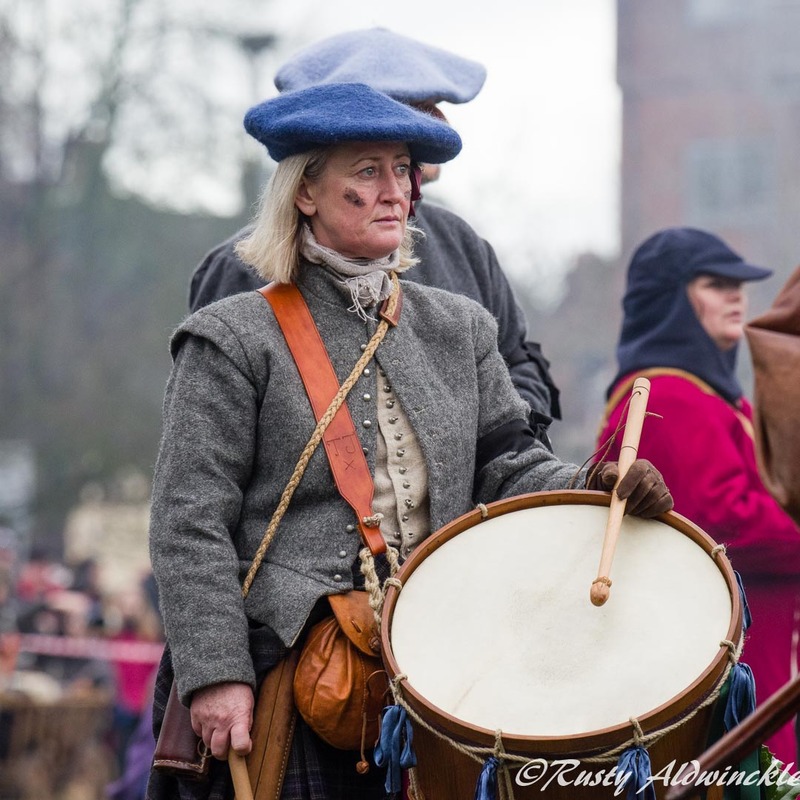 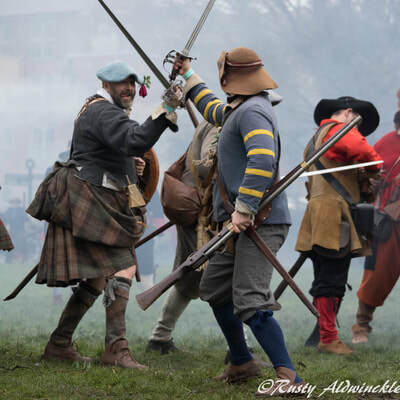 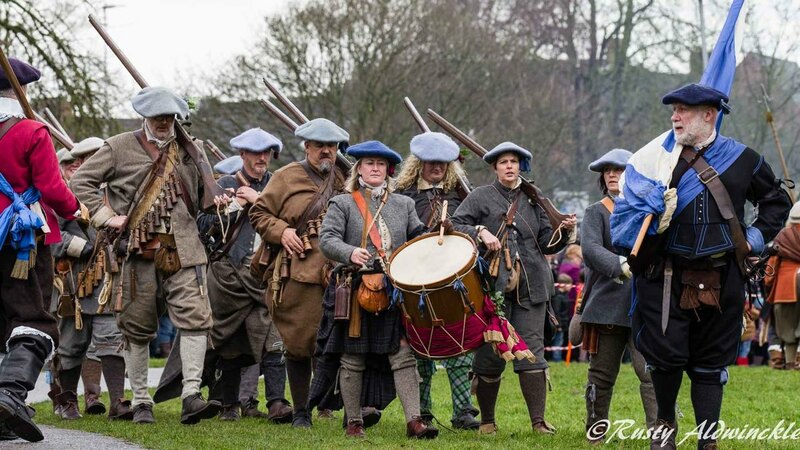 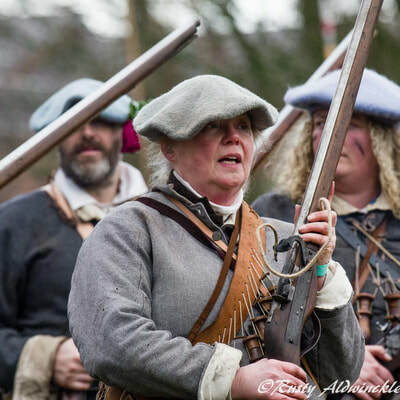 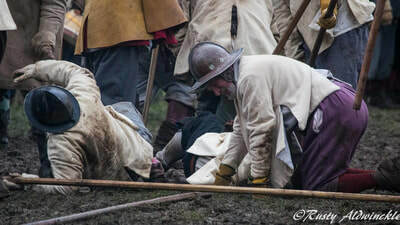 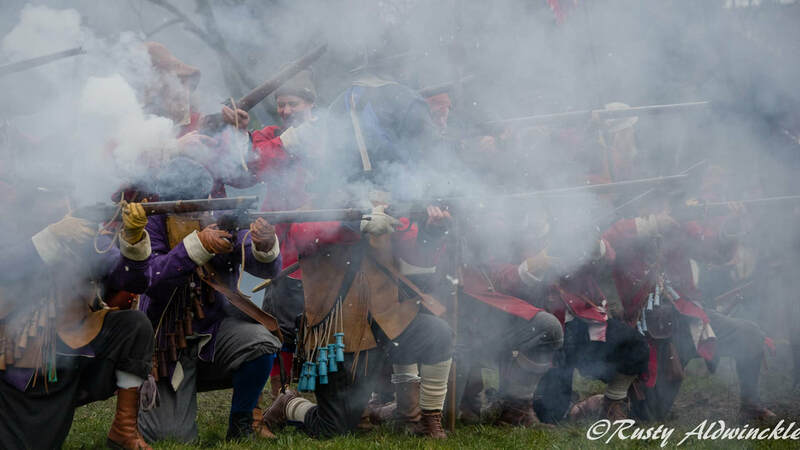 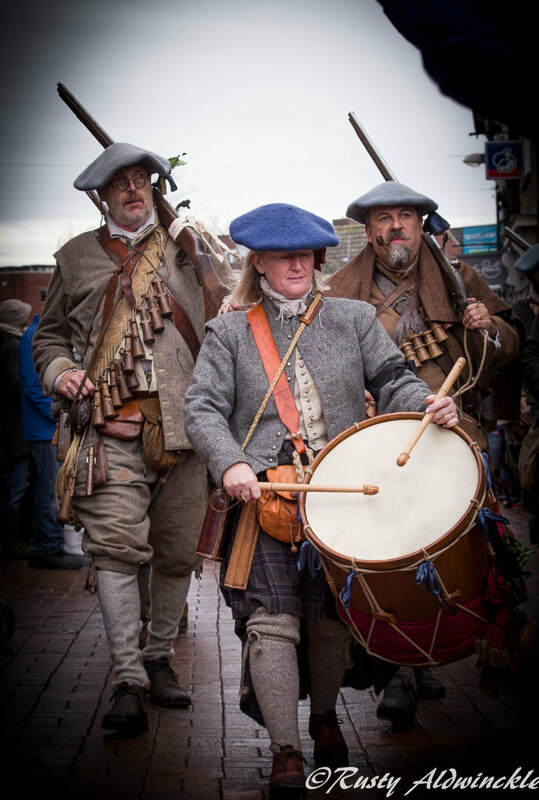 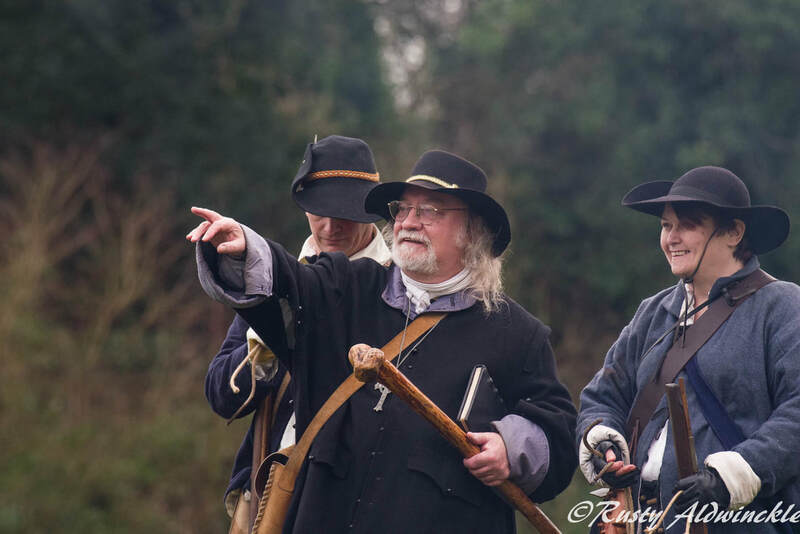 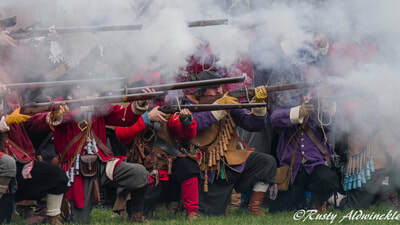 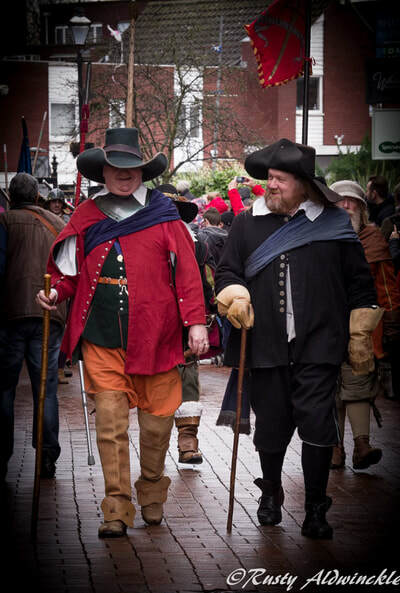 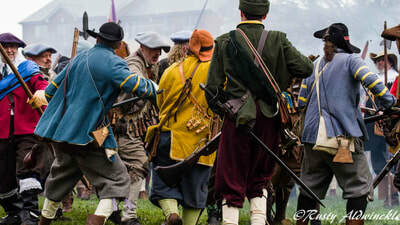 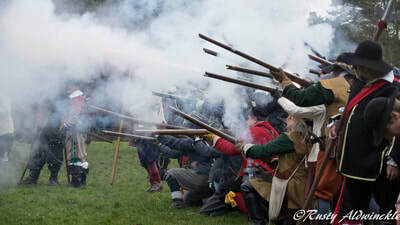 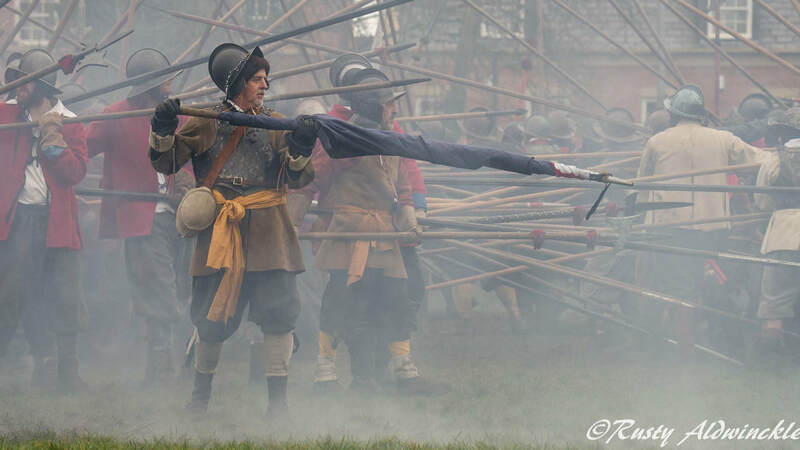 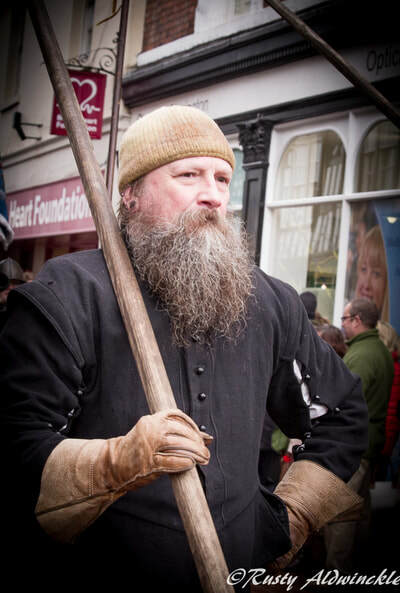 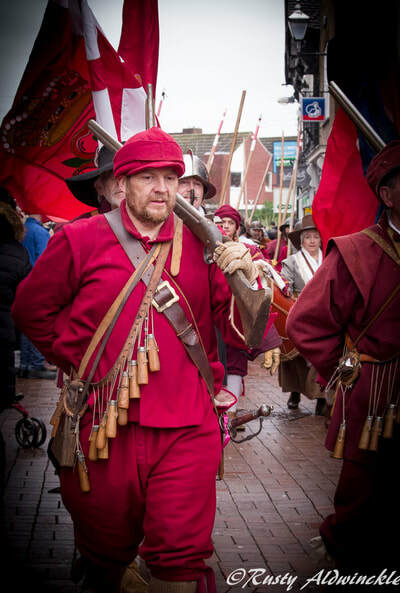 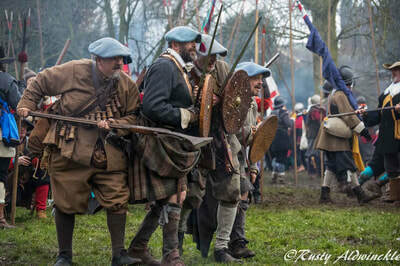 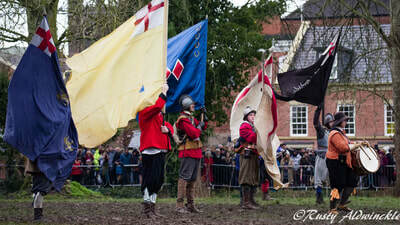 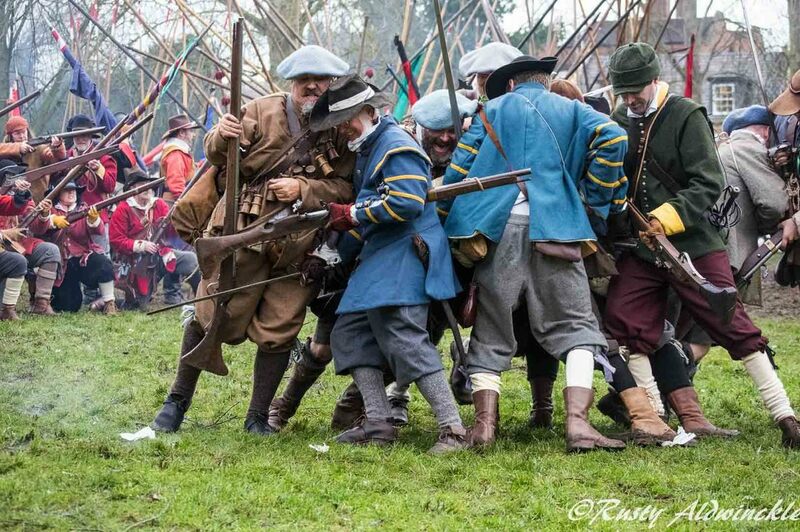 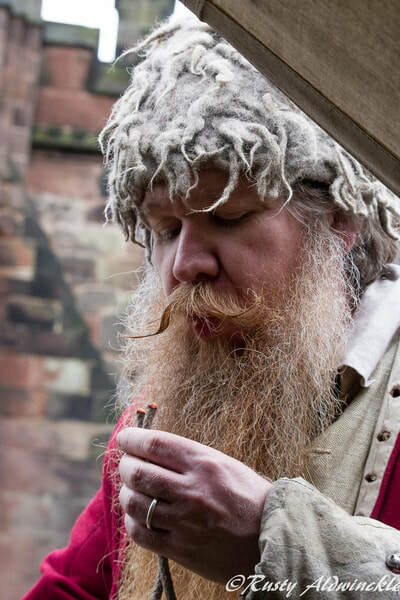 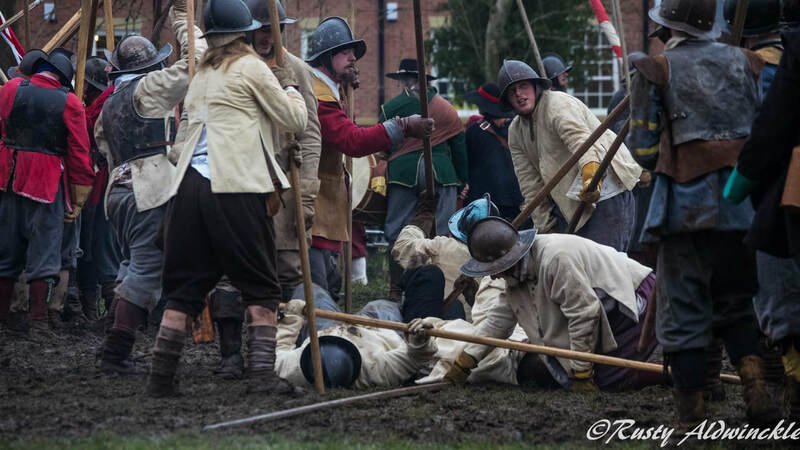 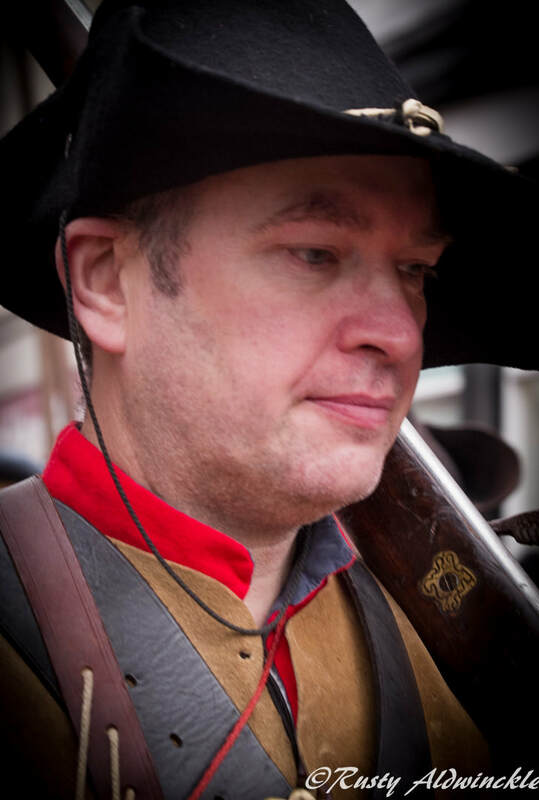 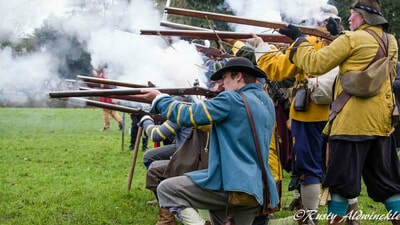 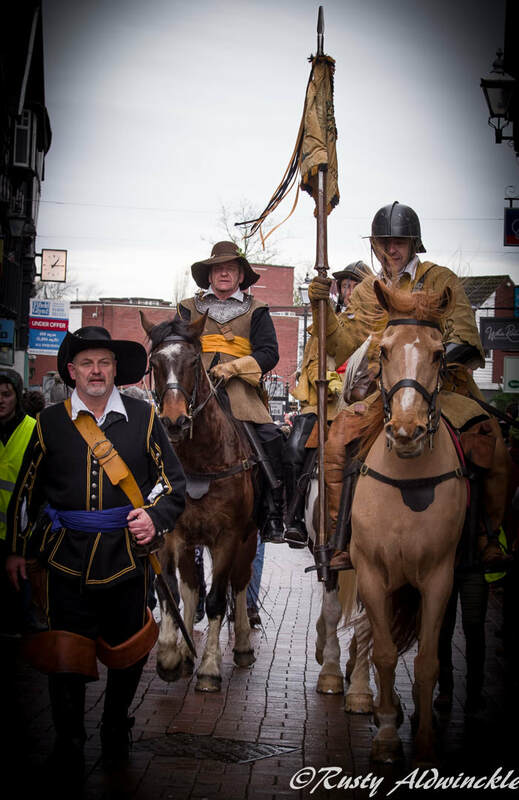 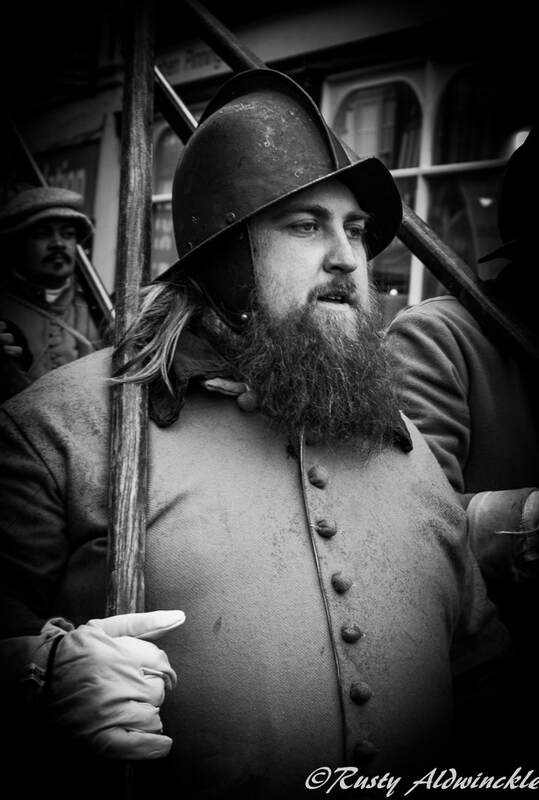 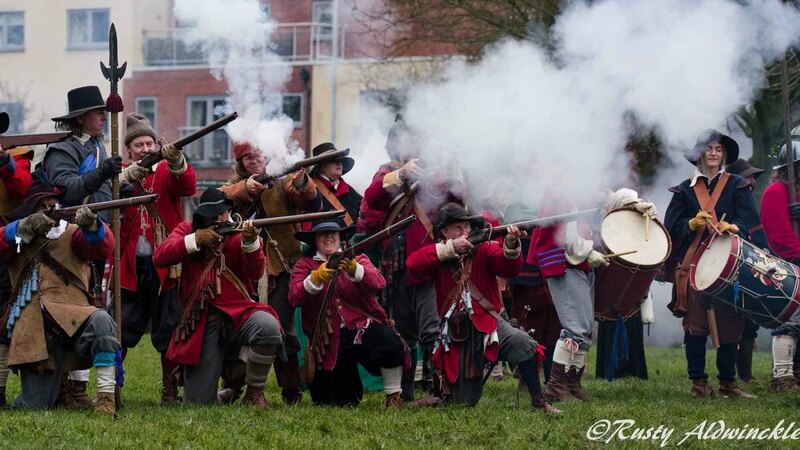 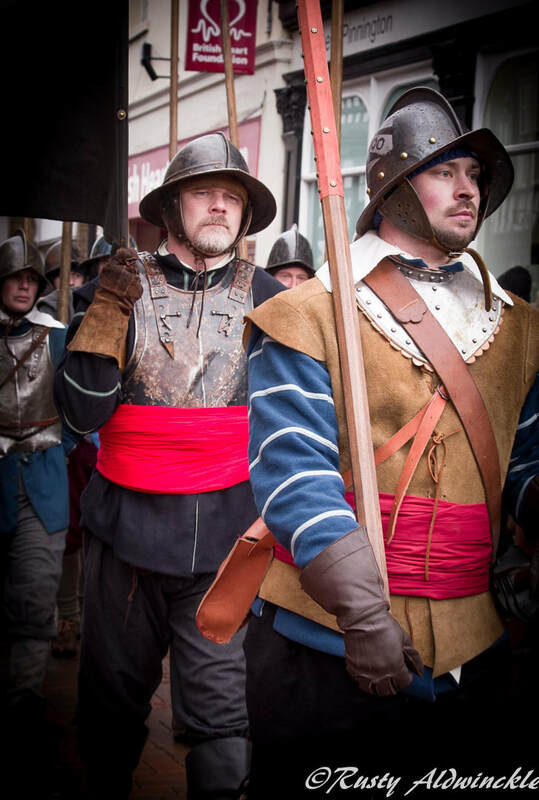 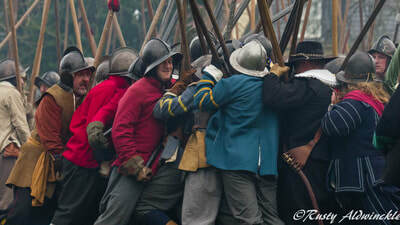 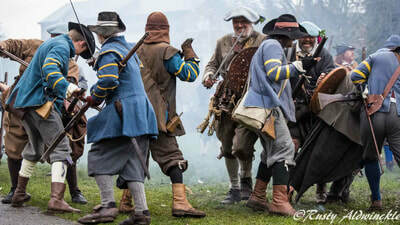 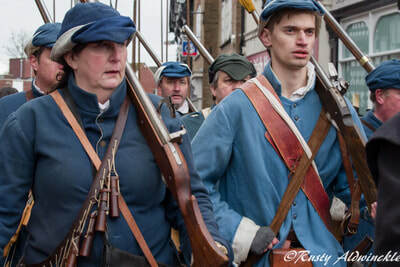 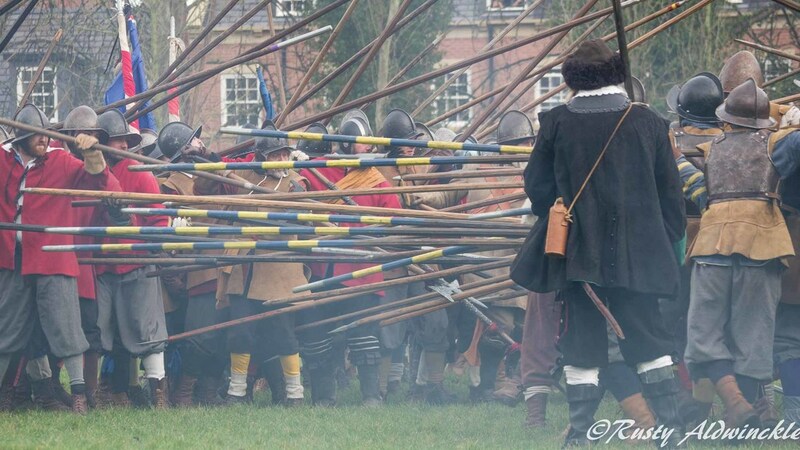 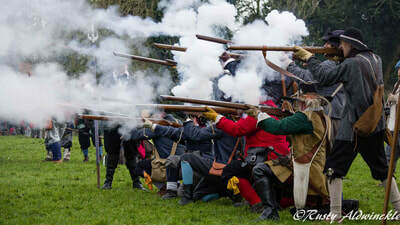 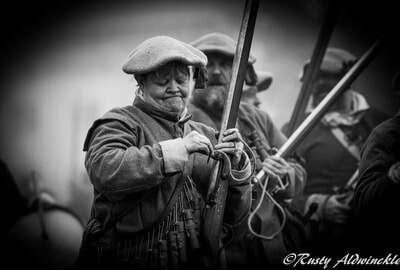 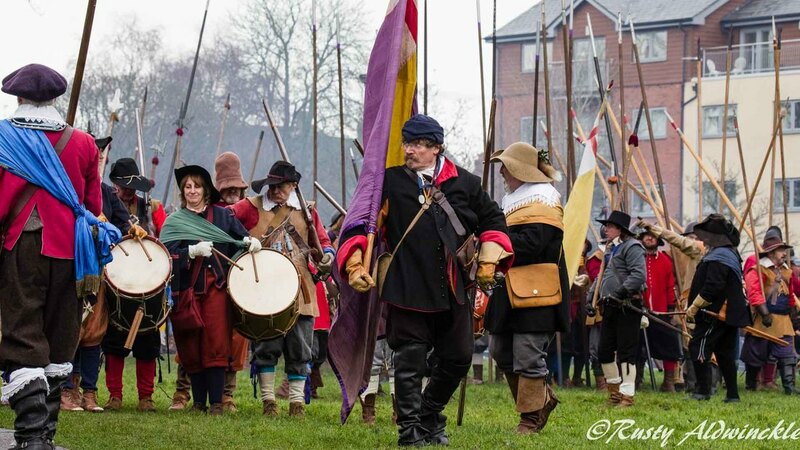 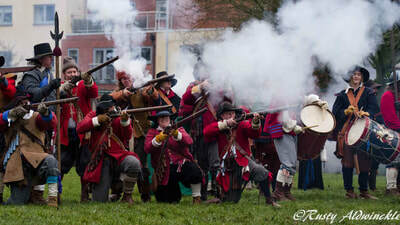 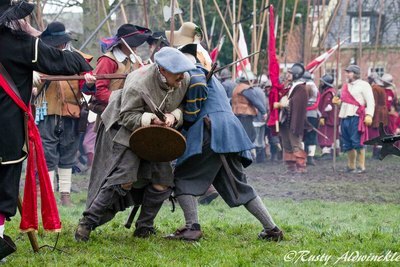 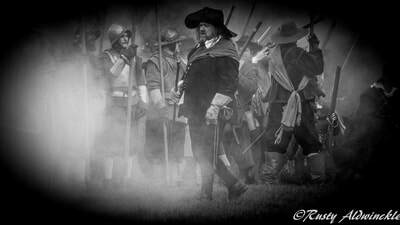 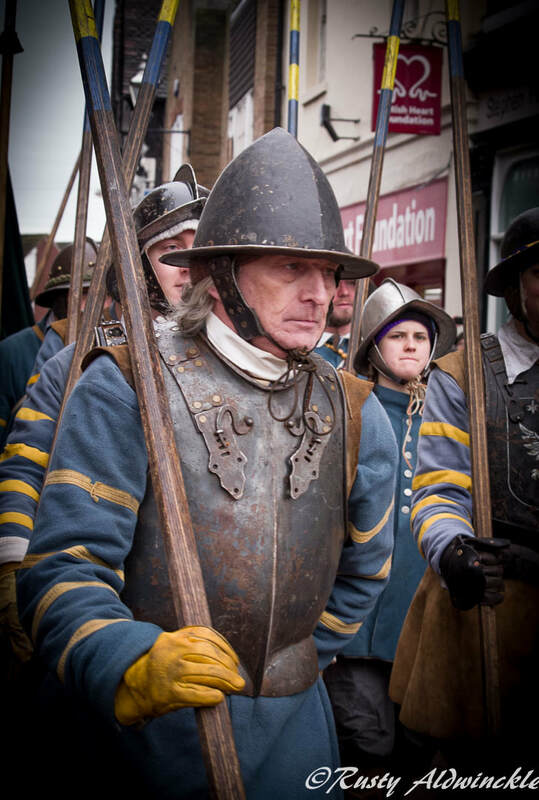 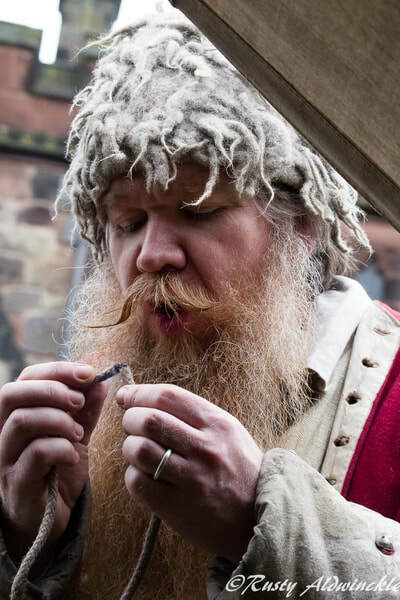 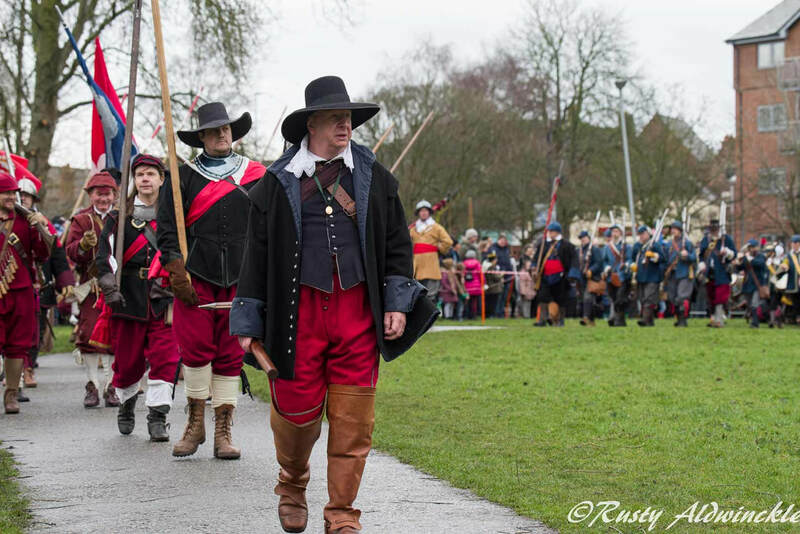 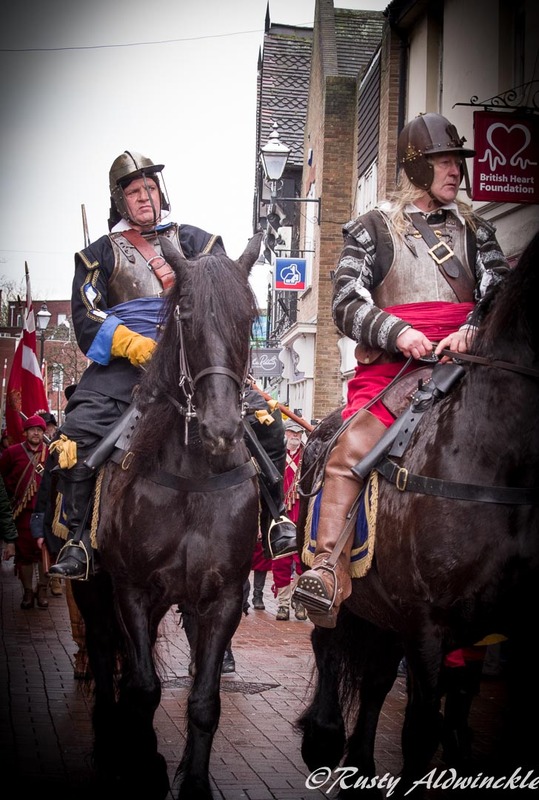 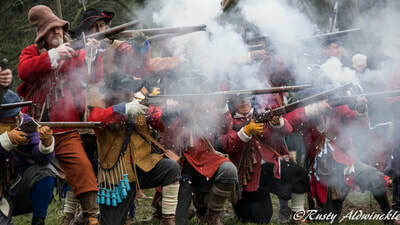 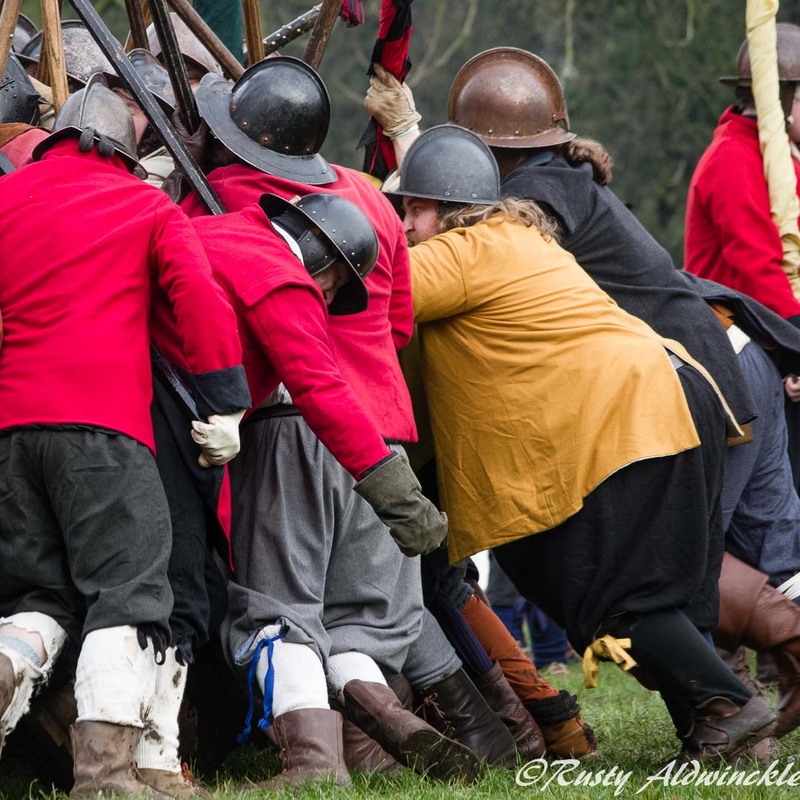 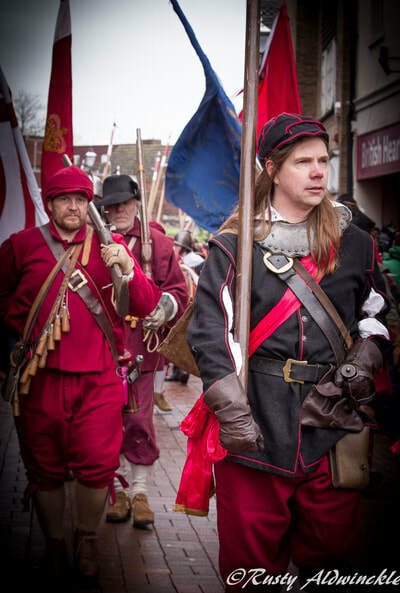 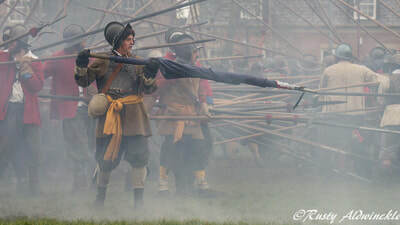 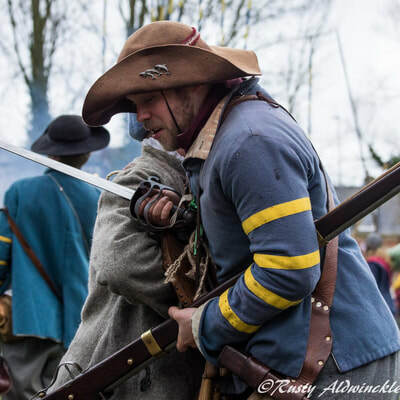 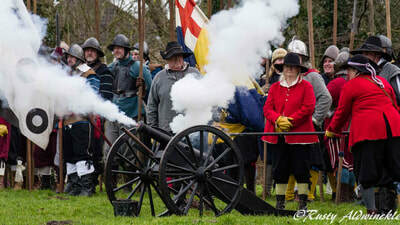 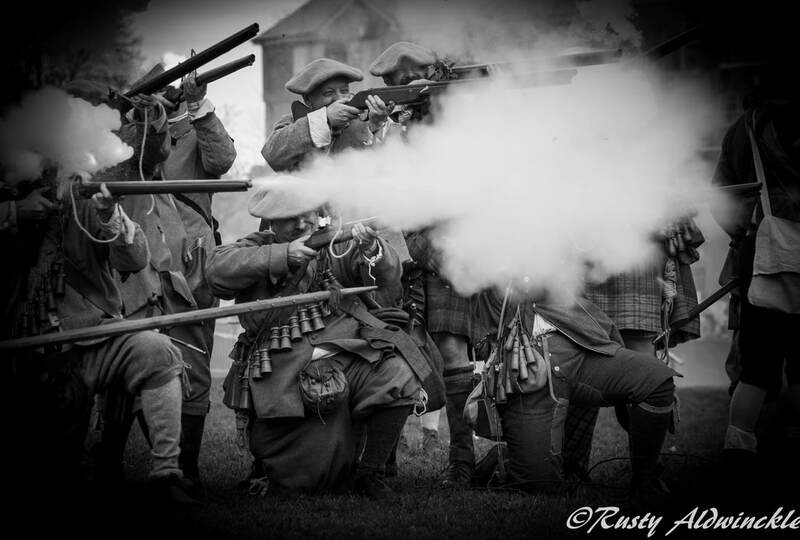 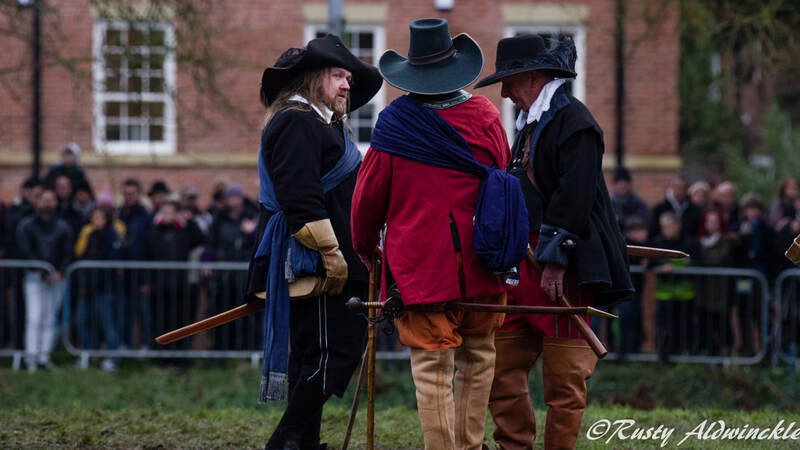 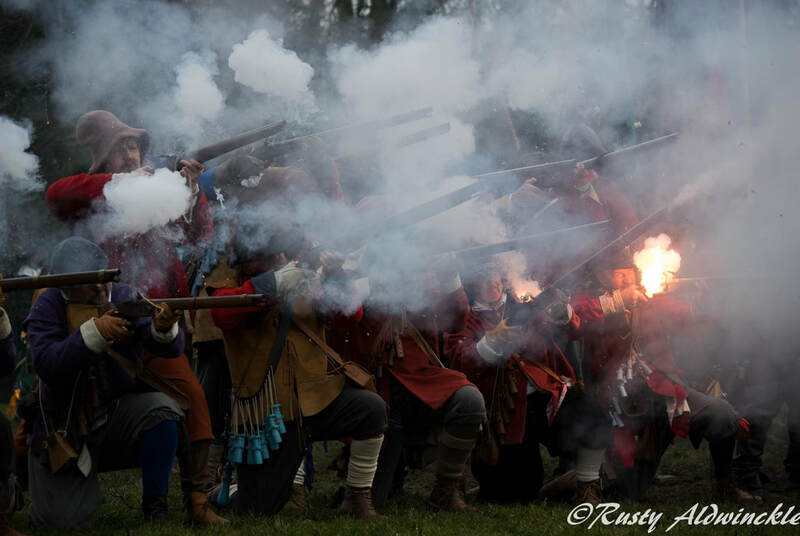 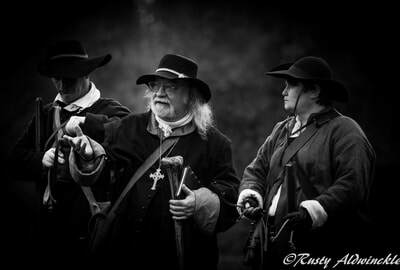 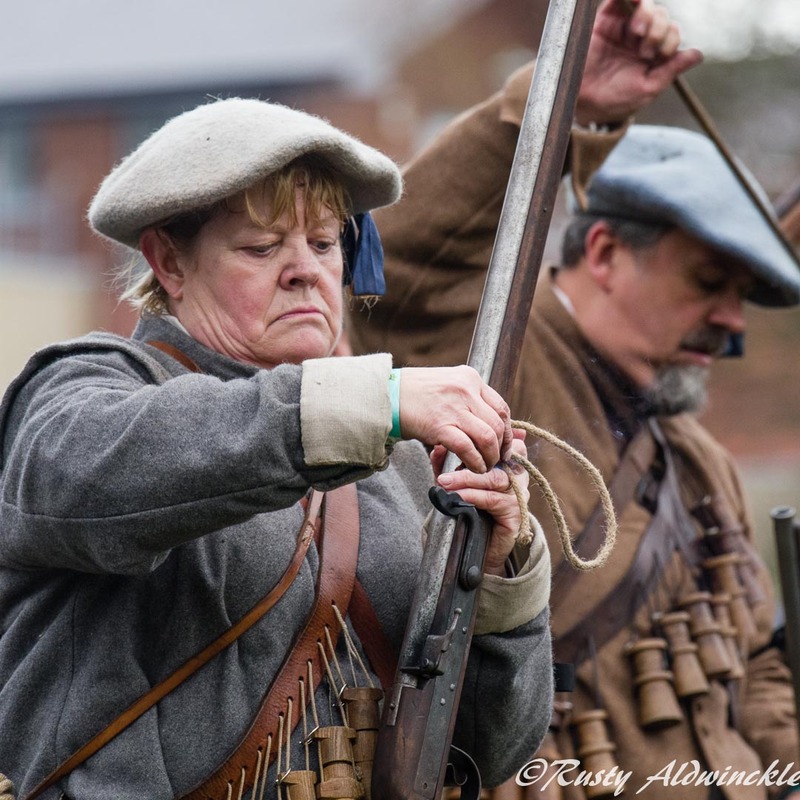 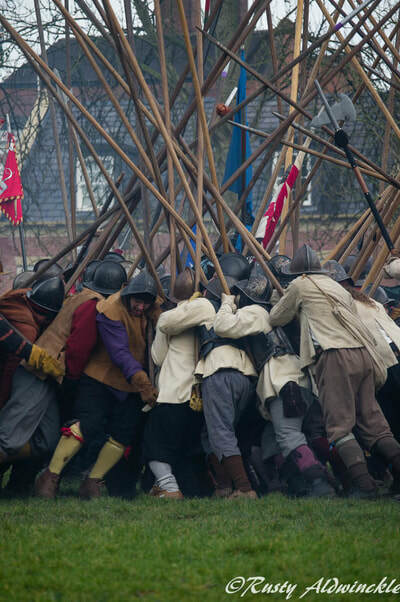 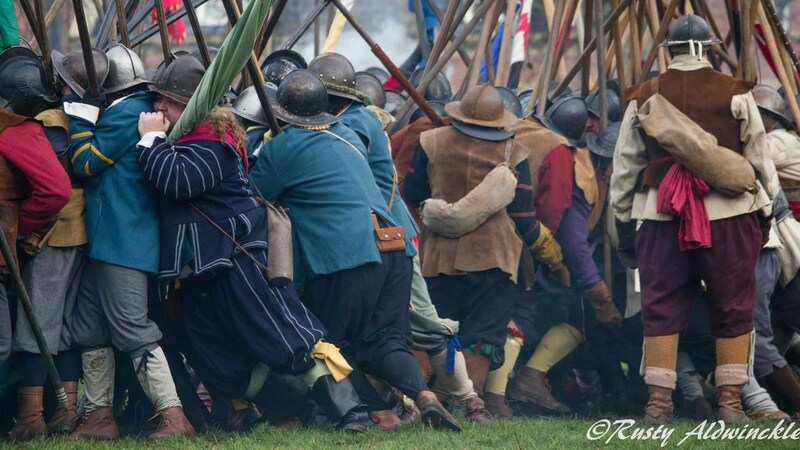 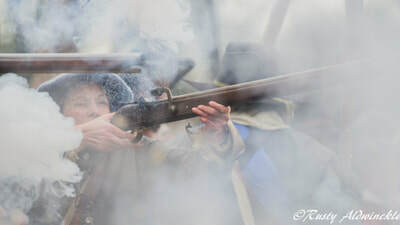 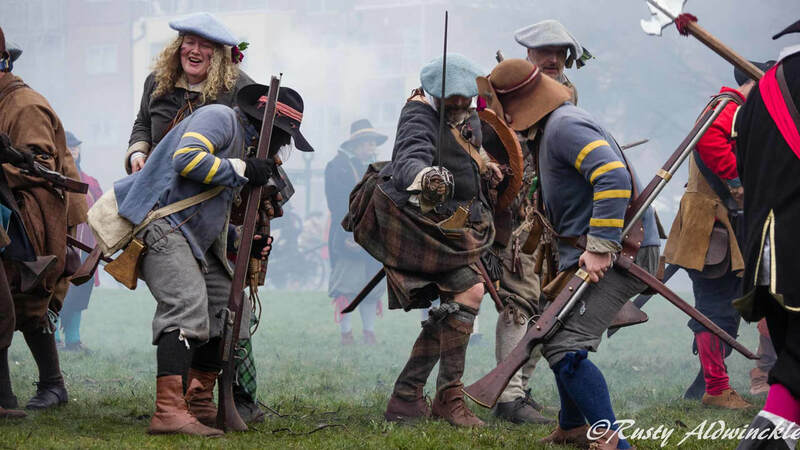 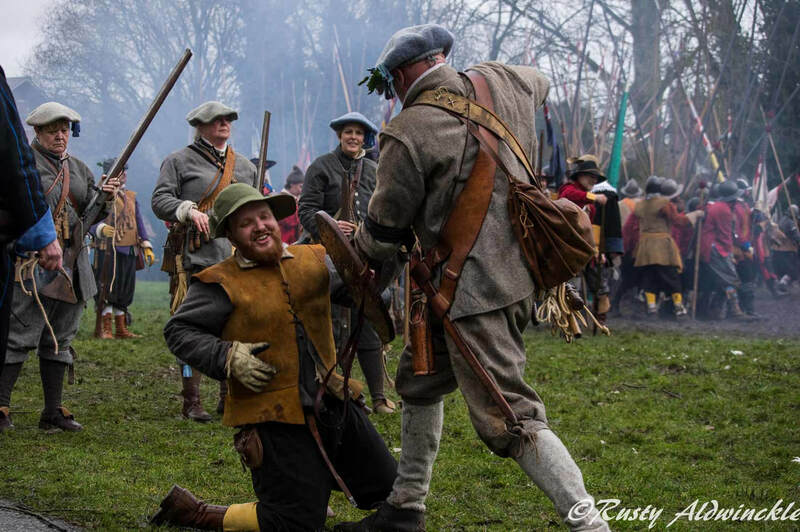 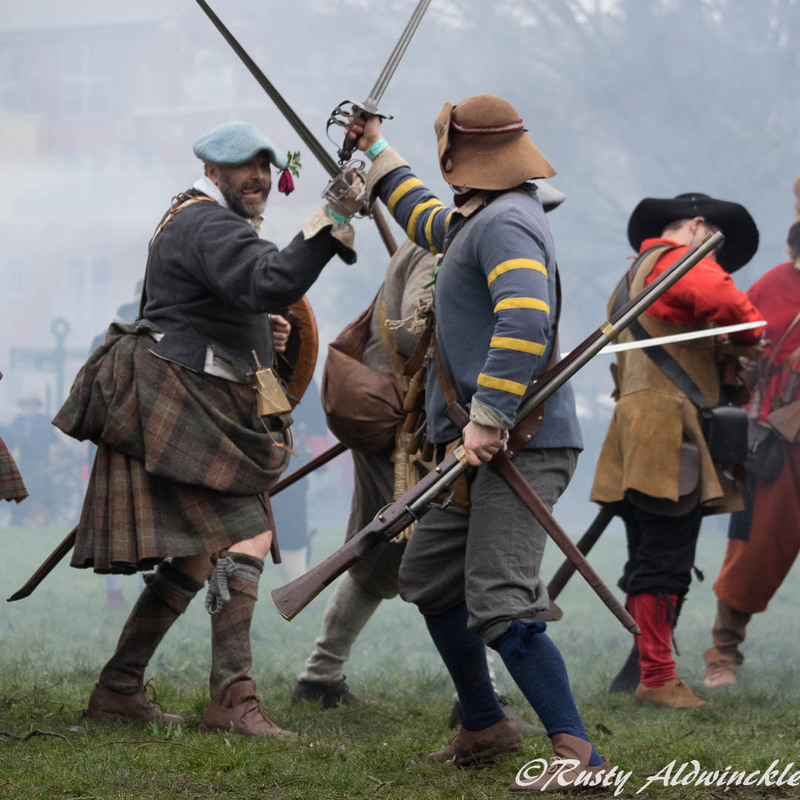 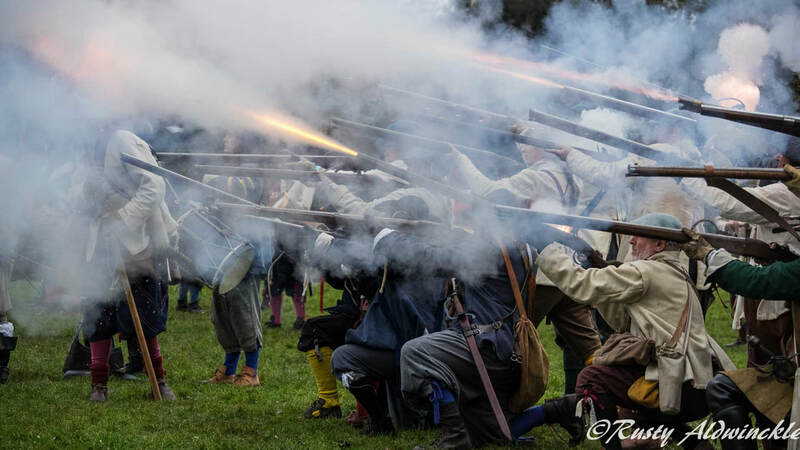 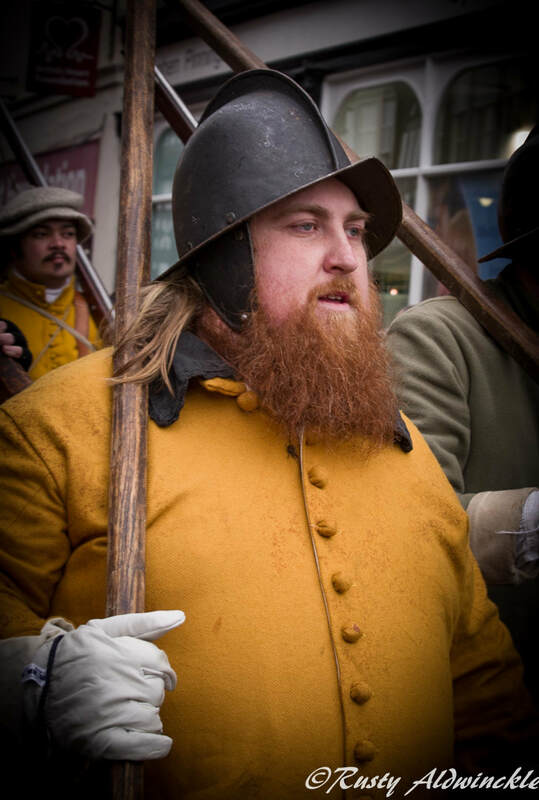 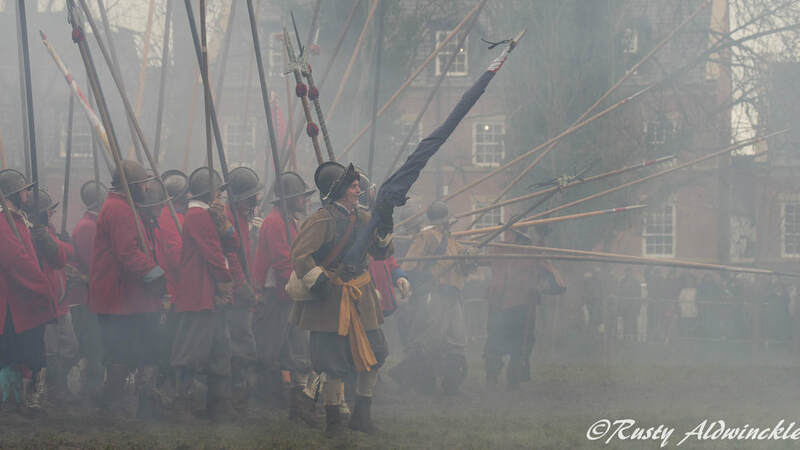 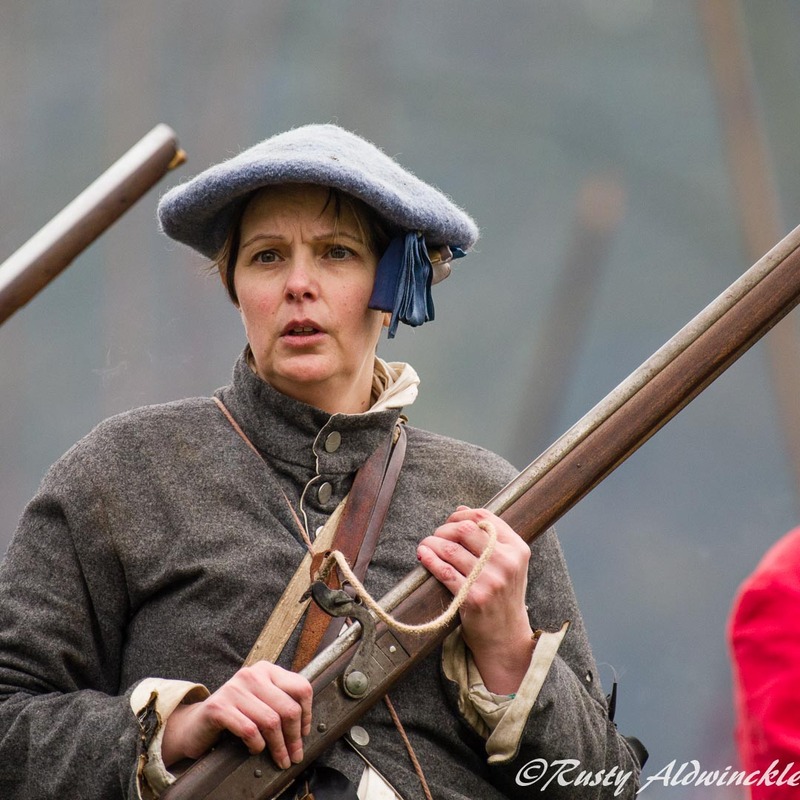 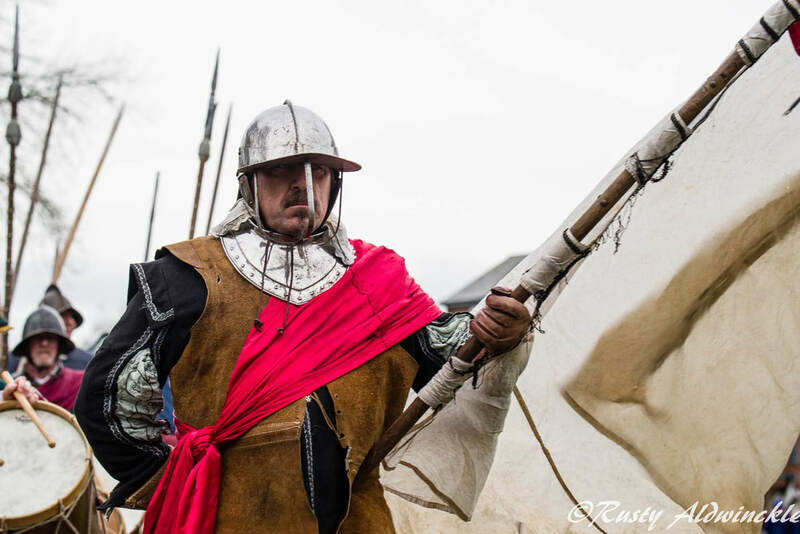 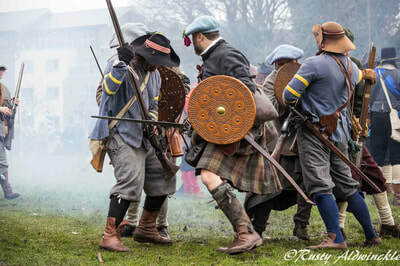 ​The Sealed Knot had happy news when the Cittie of London Brigade Commanding Officer became a Grandad on the day, and a sad one when we learnt that the Organising Officer on behalf of the Sealed Knot father in law had passed away that morning. Our thoughts go out to all concerned, some have Treasured Memories in the making others have Treasured Memories that have been made over the years. 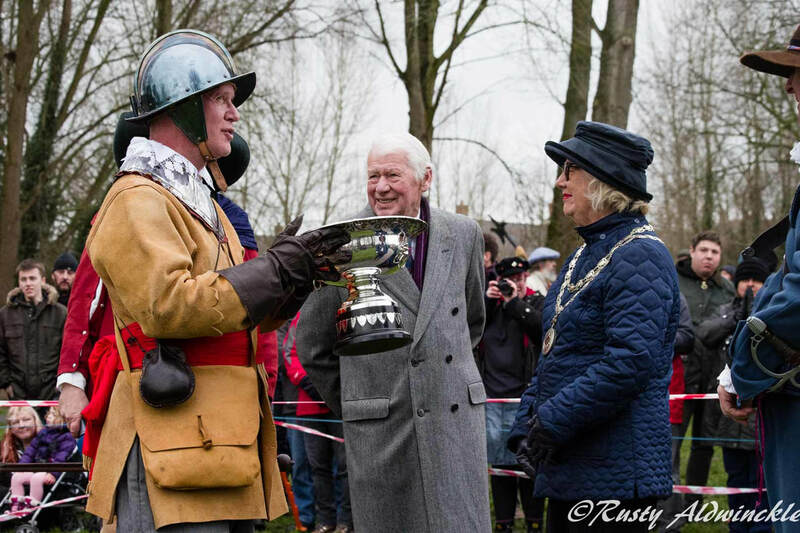 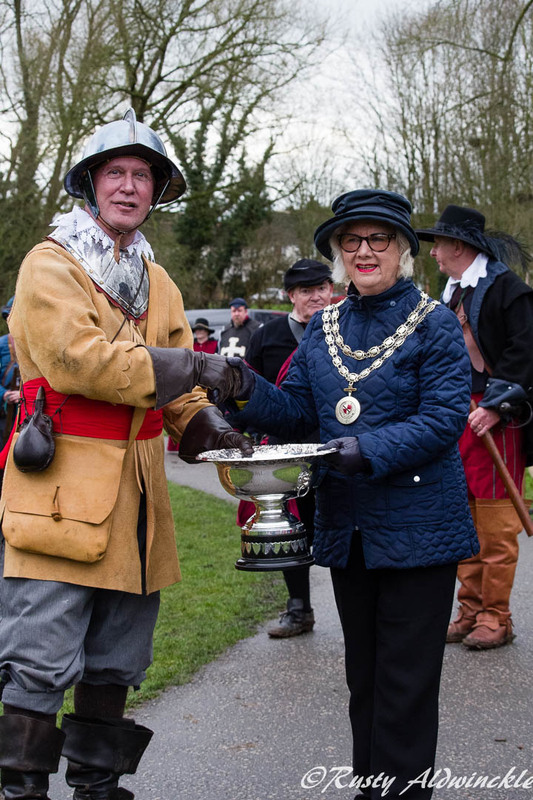 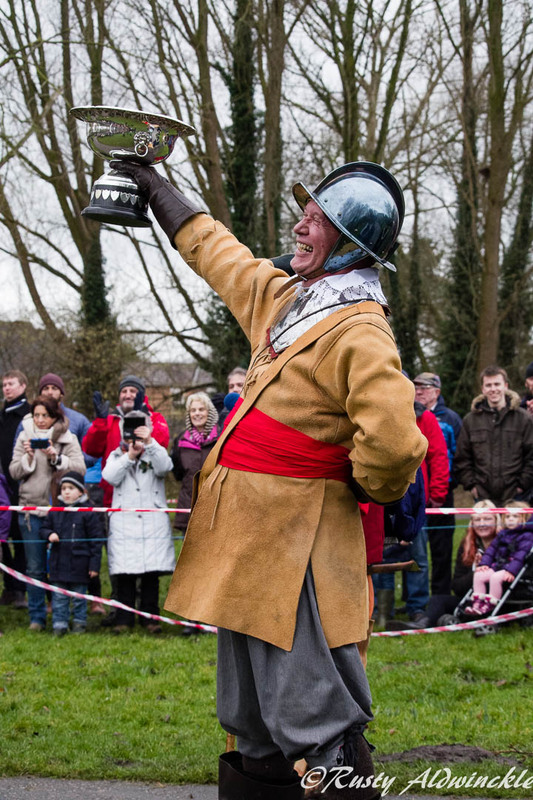 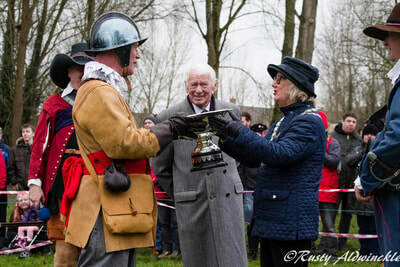 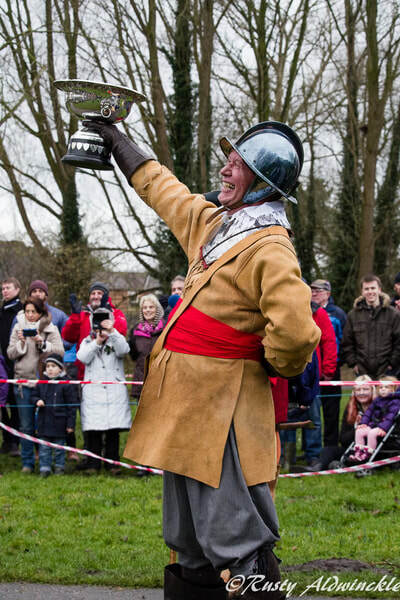 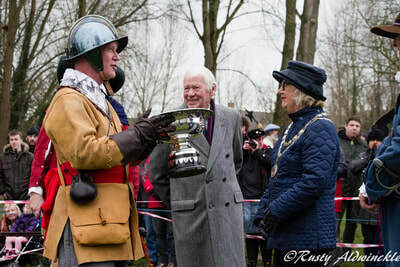 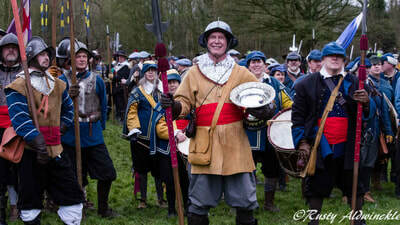 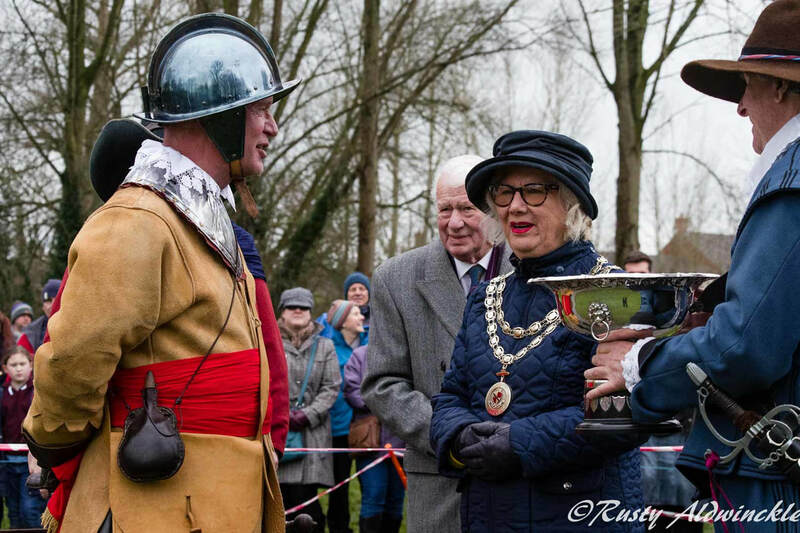 ​Congratulations to Prince Rupert's Blew Coats for winning the 'Rose bowl' this year against some tough opposition, and thank you one and all who took part to make this yet another memorable event. 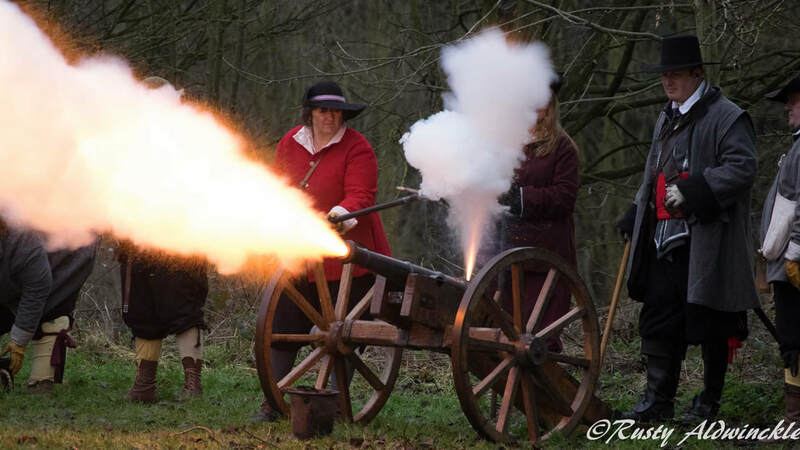 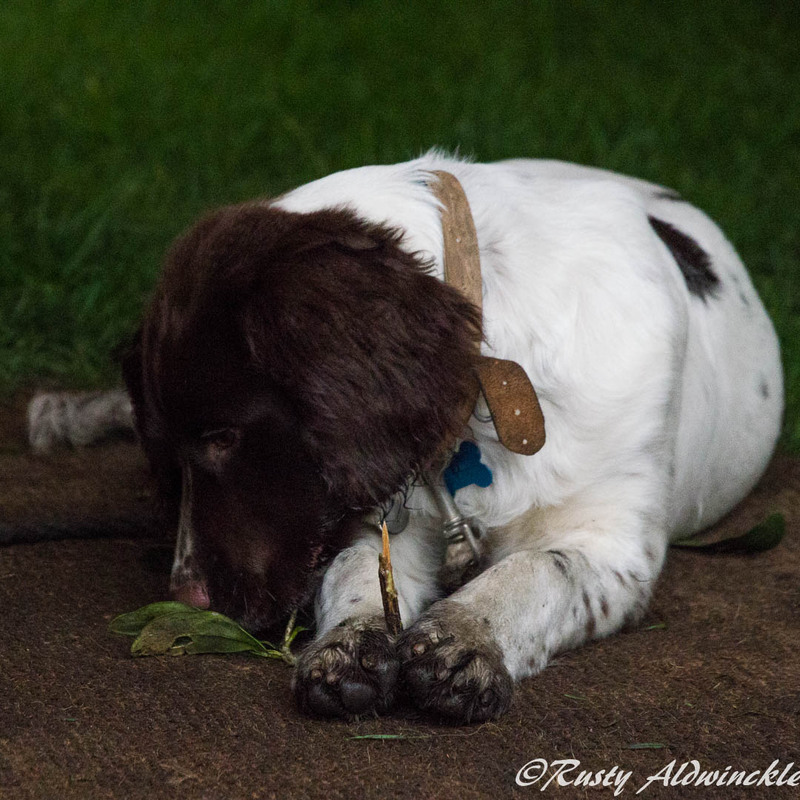 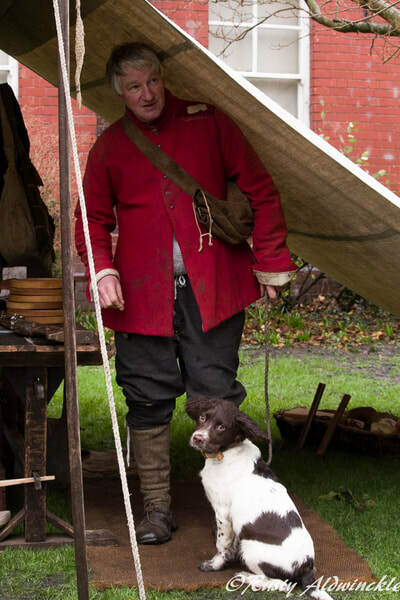 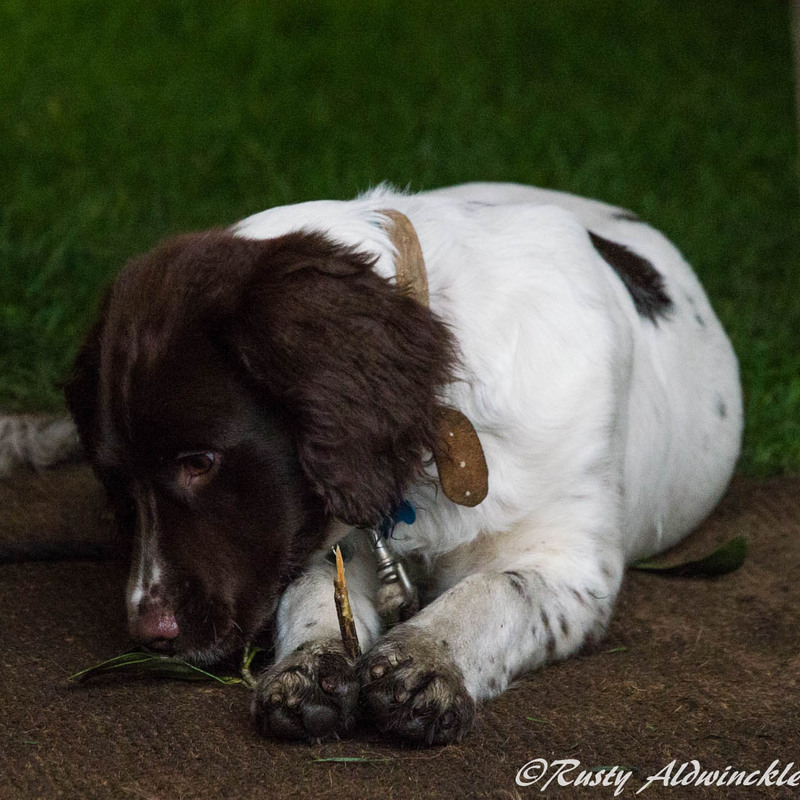 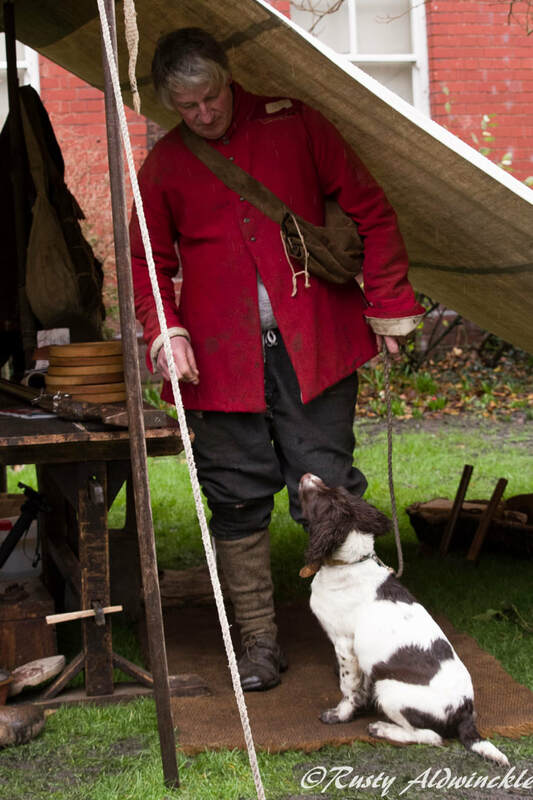 ​For members you'll also spot a few photos of 'Mac' the Springer Spaniel who has joined the family and will be seen many times over the years to come on Living History Camps.